In these days of fake news and social media hype people have lost trust in many public institutions. Social media is king and the prominence of news can be driven by clicks and algorithms. Trust is difficult concept to define and measure. It is a fragile belief that people and institutions can be relied upon to be ethical and responsible. Trust is critical in the effective functioning of a democracy. It is more important than ever that there are sources that are trustworthy and produce credible evidence-based information, particularly around scientific and cultural issues. More and more, the trustworthiness of information is based on the perceived trustworthiness of the source. Libraries and museums are considered honest purveyors of information and places for conversation on issues of local and national significance. Today’s museums are dynamic learning hubs, using the power of art and artifacts to engage, teach and inspire. Museums touch lives and transform the way people see the world and each other. One group of trusted institutions are museums, galleries and libraries, and within these are local community and folk museums, pioneer villages and house museums. They are genuinely authentic. The landscape of local museums is one of the characteristics of rural and regional Australia. These local museums are managed and conducted by a host of local community organisations. According to the National Museum of Australia there are over 1,000 local and provincial museums across Australia. Local museums tell local truths and are trusted sources of local stories and histories. Local museums are stores of memory that are built on nostalgia and contribute to well-being of the community. They are sites of volunteerism and strengthening of community. They promote local tourism, local employment, skill enhancement and training opportunities for local people. Centred on local history local museums are not fake. They are are honest and straightforward. What you see is what you get. The local museum tells local stories about local identities and local events, and are driven by local patriotism, parochialism and localism. They celebrate local traditions, myths and commemorations. The local museum can vary from world class to cringingly kitsch, from antiquarian and to professional. Individuals create them from ‘mad ambition’ and shear enthusiasm. For all their foibles they can build trust within a community. The local museum can help to build resilience through strengthening community identity and a sense of place. Local museums are a trusted local institutions, contribute to a dynamic democracy and active citizenship. This post was originally published on the ISAA blog. UOW historian Dr Ian Willis contributed a short article on the history of Wollongong’s Illawarra Mercury to the compendium A Companion to the Australian Media in 2014. The Companion was edited by Professor Bridget Foley and assisted by an eminent Editorial Advisory Board. One of the Australia’s most important provincial newspapers, the Illawarra Mercury has been defined by parochialism and localism since its foundation in October 1855 by Thomas Garrett (1830–91). Initially a weekly, the Mercury cost sixpence, and had a print run of 200. Garrett had pooled his resources with W.F. Cahill, who left after three months, to be replaced in 1856 by Thomas’s father, John, a Primitive Methodist. By 1856 the Mercury had become a six-column broadsheet and was distributed to Dapto, Jamberoo, Kiama and Shoalhaven by express coach. Involvement in community affairs and politics has characterised Mercury proprietors. John Garrett was elected Wollongong’s first mayor in 1859 and the editor, John Curr, was elected Wollongong’s first town clerk. Garret’s son, Thomas, was also a politician. Thomas took over the paper in 1862, and soon formed a partnership with Archibald Campbell, before selling out to Joseph Hart in 1867. Campbell was the sole owner from 1883 until his death in 1903; he was elected Member for Illawarra in 1891. In 1888 the Mercury was a tri-weekly of four pages, which featured a weekly serial. By 1901, it was published twice weekly. On Campbell’s death in 1903, his wife, Margaret, assumed control until Shellharbour local Edward Allen purchased the paper in 1905 and improved the news content. He was elected the Member for Illawarra in 1904, continuing a trend. An Irishman, Standish R. Musgrave, bought the Mercury from Allen in 1911 and ran it until his death in 1943. He assumed the editorship, increased sports coverage and published an edition each Friday. Soon after becoming managing director of the newly formed Illawarra Newspapers Co. Ltd in 1919, Musgrave also purchased the Bulli Times and established the Port Kembla Pilot. By 1932 the Mercury had competition from 2WL, established in 1931. Wilfrid S. Musgrave succeeded his father as managing director and editor. In 1950 he converted the Mercury to a daily, a mark of modernity for a provincial centre, and changed the masthead to the Illawarra Daily Mercury. The Musgraves were active members of the New South Wales Country Press Association for over 40 years. They mixed with the barons of the country press who sought to restrict competition, and had sympathies with the New England New State Movement and the Old Guard. However, the Mercury was making substantial losses when it was purchased by R.A.G. Henderson, the managing director of John Fairfax & Sons, in 1959. During the next decade, circulation doubled to over 25,000. In 1968, the Henderson family merged the Mercury with its main opposition, the South Coast Times, and appointed John Richardson executive editor. The following year Fairfax became the major shareholder for a cost of $2.4 million. Under David Lonsdale’s editorship, the newspaper became less parochial and more inclined to take on major community issues. Peter Newell became editor in 1976, then executive editor in 1978 and finally general manager in 1985. Illawarra Newspapers Holdings Pty Ltd launched a new weekly, the Wollongong-Shellharbour Advertiser, in 1982. The Mercury introduced computer-based story-composition, and in 1986 pioneered the use of colour in daily newspapers in Australia. Journalists Bill Simpson and Carol Johnstone won Walkley Awards in 1986–87. However, the Mercury was labelled a ‘screaming red-top tabloid’ by James Hooke, Fairfax’s managing director of NSW operations, and in the early 1990s was regularly pilloried by ABC television’s Media Watch. Innovation continued, with the Mercury producing its first electronically assembled editorial page composed by computer in 1994, and being printed on state-of-the-art printing presses alongside the Sydney Morning Herald and the Australian Financial Review at Chullora from 1999. The Mercury was awarded PANPA Newspaper of the Year in 2006 and Walkley Awards were won by Mercury journalists in 2003, 2008 and 2010 and photographers in in 2008–09. The Mercury’s circulation in 2013 was 18,229. Kirkpatrick, ‘Guts-and-glory, murder and more during the Mercury’s 150 years’, PANPA Bulletin (September 2005). The front page of the centenary edition supplement of the Illawarra Mercury 16 November 1955. The Macarthur region is an area made of the Camden, Campbelltown and Wollondilly Local Government areas and is a formal region with an arbitrary political boundary. Regions come in all shapes and sizes from formal regions with definite boundaries, to geographic regions based on landform types, to regions of the imagination with no real boundaries at all. They are a useful tool to examine communities, and despite falling out of favour with some, still have a place in the popular imagination and provide a useful analytical tool. The first official use of the term Macarthur as a regional place-name was the proclamation of the new Federal seat of Macarthur in 1949 after the 1948 re-distribution and the Federal House of Representatives was increased from 75 to 122 members. The new seat of Macarthur was named after the colonial wool pioneers John and Elizabeth Macarthur of Camden Park, which according to a recent heritage report from TKD Architects ‘is the most important surviving early colonial estate in Australia and ranks amongst the most historic houses in Australia’. The original land grant to John Macarthur in 1805 took place on the Nepean River floodplain and eventually the familiy’s colonial estate of Camden Park covered parts of what is now the Campbelltown, Camden and Wollondilly LGAs. The use of the Macarthur place-name got a leg up in 1958 when local media baron Sydney Richardson felt that local regionalism provided a great business opportunity. There were enough unifying characteristics across the three country towns of Camden, Campbelltown and Picton, he thought, that justified launching a new regional newspaper using the Macarthur masthead. He re-named the Camden Advertiser, a free Camden weekly newspaper he took over from Ken Gibson in 1955, as the Macarthur Advertiser. Richardson had two competing newspapers – the Camden News and the Camden Advertiser – in the same Camden market place. He had previously purchased both the Camden News and Campbelltown News from the Sidman brothers in 1952. Richardson promoted the Macarthur Advertiser as a free regional newspaper and expanded its circulation to included Campbelltown and Picton. The newspaper had a broad regional compilation of news and advertisements from the three towns and he ‘forged and popularized a new regional name for Campbelltown, Camden and Wollondilly’. 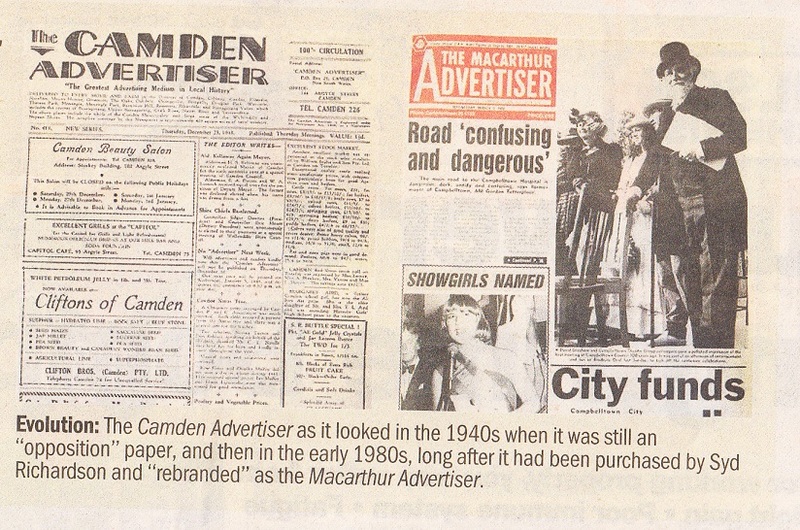 In 1982 Richardson merged the Macarthur Advertiser with other local newspapers – Campbelltown-Ingleburn News, Camden News and Picton Post – which he had previously sold to Suburban Publications, a joint venture between John Fairfax and Sons and Australian Consolidated Press, in 1969. Richardson’s new regional newspaper prospered and was a builder of community and identity by being a regional voice and notice board for the first time, and in the process strengthened people’s attachment to the concept of a regional identity. 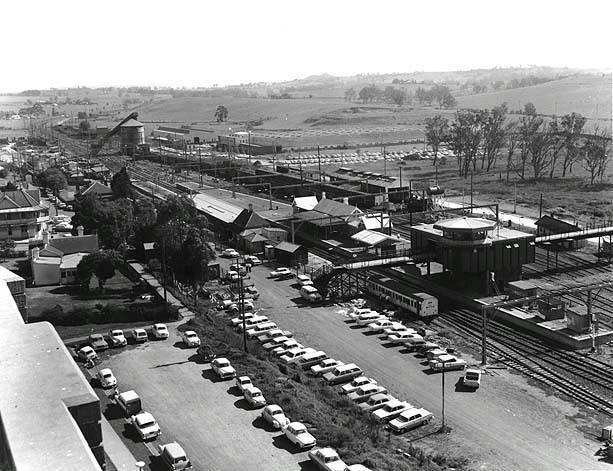 Town planners and administrators strengthened the official support for the use of the Macarthur place-name in 1975 with the establishment of the Macarthur Development Board, with its head office in Campbelltown’s heritage precinct. Peter Kacirek, the chairman of the Sydney SW Sector Planning and Development Board, renamed it as the Macarthur Development Board, against much local opposition. Local residents felt that the legacy of Governor Lachlan Macquarie was affronted, by those who proclaimed the town in 1820. The purpose of the Macarthur Development Board was to implement the 1973 New Cities Structure Plan for Campbelltown, Camden and Appin as part of the 1968 Sydney Regional Outline Plan. The New Cities Plan called for the development of the Macarthur growth centre, located away from the Campbelltown central business district in Queen Street. The aim of the Macarthur Development Board was to ‘plan, co-ordinated implement’ the New Cities Plan with power to compulsory acquisition of land. Town planner James Deane, from the Urban Development Institute of Australia, felt that the name Campbelltown should be completely abolished and replaced with the City of Macarthur. The New Cities Plan incorporated the colonial story of the Macarthur family and Camden Park and felt that the Macarthur legacy was essential to the identity of the new growth centre. The board stated in 1976 that ‘the area of Macarthur is steeped in rich tradition and much of the early history of New South Wales was recorded here. The aim of the Board it to link the historic past with an exciting and vigorous future and to plan for the enjoyment and benefit of all members of the community’. Unfortunately the Macarthur family felt otherwise and sold most of the pastoral property to housing developers in 1973 against a national outcry. To the disappointment of many the Macarthur growth centre was a short lived town planner’s pipe-dream. The new regional centre was planned to have high-rise office blocks, conference facilities, sports stadiums, transport interchange and become a city within a city and to be located on Campbelltown Golf Course (1971), which was acquired against significant local opposition. There was some progress within the growth centre precinct with the construction of Macarthur Square (1979), Macarthur Railway Station (1985), the Macarthur Institute of Higher Education (1983) and the launch of a new Macarthur community radio station 2CT (1978) yet the new TAFE college (1981) and hospital (1977) both carried the place-name Campbelltown, not Macarthur. The Federal Whitlam government promised funding of $25 million in 1975, which was slashed in 1976 to $2 million dollars by the incoming Fraser Government but by 1978 all funding had dried up. Open hostilities broke out between Campbelltown City Council and Macarthur Development Board over the ‘regional centre’ in 1979 when the Wran state government approved the construction of Macarthur Square funded by State Super. The Macarthur Development Board continued to foster the regional centre over Campbelltown’s Queen Street precinct as the retail and community hub in 1980, and by 1984 the Board was $200 million in debt. Peter Kacirek was sacked and Ian Henry, former Campbelltown council planner, was appointed by the state government. In 1985 the regional centre was slashed by Wran Labor state government and the Board was stripped of planning power and restructured to Macarthur Development Corporation, which was a small promotion unit. Ian Henry stated that the Macarthur Development Board was ‘an over-expanded planner’s dream turned nightmare’ and in 1989 the MDC restructured and renamed Business Land Group, which was little more that a sales unit. The Macarthur growth centre road crash had been driven up onto the rocks of divisiveness by the state government’s push of large scale public housing into the Campbelltown area, the development of the ‘ugly Campbelltown’ stereotype and the moral panic that ensued. 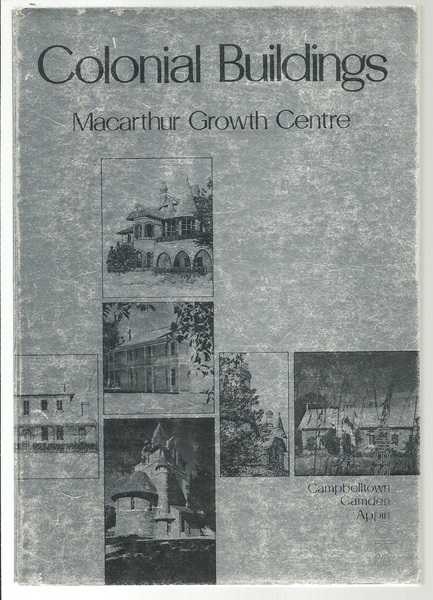 With the failure of the Macarthur growth centre another official attempt at developing Macarthur regionalism occurred in 1986. The Hawke Federal Government played a role in development of Regional Organisations of Councils (ROCs) through the Federal Government’s Office of Local Government and its Local Government Development Program. It came out of the Hawke government’s conviction that local authorities could make a positive contribution to the Commonwealth’s national economic reform strategy. The Camden, Campbelltown and Wollondilly LGAs came together in 1986 as MACROC, the Macarthur Regional Organisation of Councils with its headquarters in Campbelltown. MACROC’s charter states that its aim is to ‘promote a regional approach to issues’ and to develop ‘regional facilitation, planning and coordination’, to promote ‘a regional economic growth strategy’ and ‘provide a voice for regional issues’. MACROC has had mixed success, and while some accuse it of being a talkfest, its presence has supported Macarthur regionalism. MACROC spokesperson Christine Winning defends its role as in regional advocacy and states that has a achieved a number of outcomes of regional importance in the areas of job creation, economic growth, education, small business, local government, environment and tourism since its foundation. Over the years Macarthur regionalism has had mixed support by the local business and community voluntary organizations. 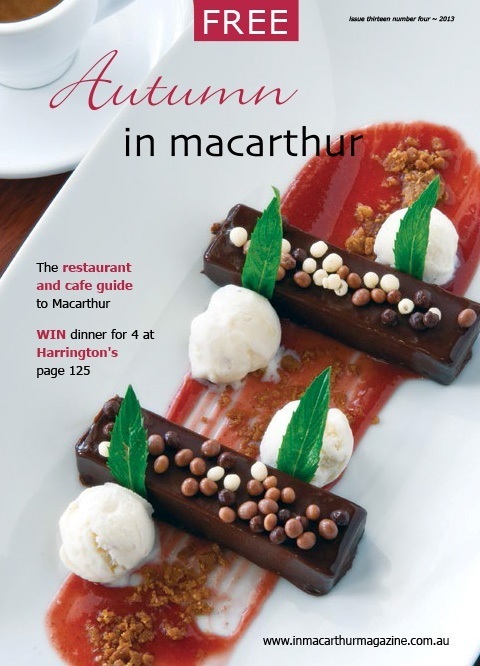 A survey of telephone listings of local businesses in 2011 indicated that only 156 business listings used the term Macarthur in their business name, for example, Macarthur Tavern, Macarthur Camera House and of these 61 businesses were located in Campbelltown, while the remainder were located in other local suburbs. On the other hand the traditional names of the country towns of Camden, Campbelltown and Picton were the preferred option for business names with 134 had Camden in their business name, while 140 used Campbelltown in their business name, for example, Camden Towing Services and Campbelltown Car Detailing. A search of the 2014 Wollondilly Business Directory reveals that 24 businesses have used the Picton place-name, while at a district level even the Telstra telephone listings were located in the 2013 Campbelltown Telephone Directory which included Camden and Picton. Amongst local businesses there are some prominent and enthusiastic supporters of Macarthur regionalism as a coherent market place and branding that has a distinctive identity. Most notably In Macarthur lifestyle magazine publisher David Everett who has stated that his support for Macarthur regionalism for his business ‘seemed obvious and wasn’t really a decision’. Everett’s quarterly magazine started in 1999, has a print run of 20,000, is published in Campbelltown and is distributed throughout the three LGAs at points in Macarthur Square, Campbelltown, Camden, Narellan, Mt Annan, and Picton. Everett feels that Macarthur is a different geographic region to Sydney’s south west, ‘is culturally quite different’ and has ‘a sense of community’, which he maintains is ‘quite rare in the rest of Sydney’. He states that there is ‘a distinct region [which] feels like a region’ and the ‘name describes quite an organic community’ across all three LGAs. Amongst other local businesses that use the regional branding is the Macarthur Credit Union, which adopted the Macarthur name in 1978. The credit union wanted to extend its brand and grow its customer base and changed it name in 1978 from the Clutha Employees Credit Union, which was established in 1971, to the Macarthur Mutual Credit Union and extended membership to the local community. It then progressively established branches across the region starting with Picton in 1979, Camden 1979, Narellan 1990, Tahmoor 1994. It changed its name in 1994 to Macarthur Credit Union and started a mobile service at Oran Park. Local media outlets are prominent supporters of Macarthur regionalism including Community radio station 2MCR, which started operations on the 1989 and promotes itself as “Heart of Macarthur”. It was the first radio station aimed at broadcasting to the Macarthur region, are staffed and operated entirely by volunteers and broadcasts 24 hours a day, 7 days a week. The local commercial radio state C91.3, which has been on air since 2001, uses a call sign 2MAC and the slogan ‘Macarthur First’. It has a limited broadcast area of the major centres of Campbelltown and Camden under Federal Government broadcast regulations and is owned by WIN Corporation. The local print media have been supporters of Macarthur regionalism for decades, although in recent years have responded to the resurgence of localism under the influence of globalization by re-establishing local editions of Macarthur regional newspaper titles (mentioned earlier). The voluntary sector has had a role to play in promoting Macarthur regionalism through the establishment of the Macarthur Country Tourist Association in 1978. The association had the supported of Campbelltown, Camden, Wollondilly and Liverpool councils, although it collapsed in 1994 after Wollondilly Shire withdrew support. In 1996 after the collapse of the association, Camden Council set up the Camden Interim Tourist Committee and continued to operate independently from Oxley Cottage in Narellan. In 2008 Camden and Campbelltown LGAs started a joint tourism project as part of the Macarthur Tourism Action Plan which was marketed as Destination Macarthur, and was influenced by Tourism New South Wales’s Destination Development Program and the 2007 Griffith Local Government and Shires Association Tourism Conference which used the theme Tourism – An Investment. The community voluntary sector has a mixed response for its support of Macarthur regionalism. An examination of the 2005 Camden Community Directory only has 53 voluntary organizations that used Macarthur in their title, out a total listing of 380 entries. One current regional organization is the Macarthur Community Forum, which is an inter-agency organization which was incorporated in 2000 and changed its name to Sector Connect in 2008. It covers the four local government areas of Campbelltown, Camden, Wollondilly and Wingecarribee and acts a peak organization for the not-for-profit sector across the LGAs. The organization operates Volunteering Macarthur and acts as an agency for other government related services including Macarthur Youth Services Network and MacUnity. Other regional voluntary organizations range from the Macarthur Rural Fire Service to regional sporting organizations including Macarthur District Soccer Football Association and Macarthur Basketball Association, while 2013 saw the birth of Quota International of Macarthur after the demise of the Camden Quota Club. Macarthur regionalism in the communities of Campbelltown, Camden and Picton has had a mixed history with government, business and the voluntary sector. While business has identified Macarthur as a separate market place it is yet to be fully developed, and the voluntary sector is still very localised. The Camden, Campbelltown and Wollondilly Local Government Areas do acknowledge the Macarthur story particularly in their tourism promotions, yet little elsewhere. Macarthur regionalism has not been fully embraced by each of the former country towns of Camden, Campbelltown and Picton. They were all once small closed rural communities with their own sense of place. Each community had a natural distinctiveness that has contributed to their identity and parochialism that tends to work against regionalism. The most important unifying theme between Campbelltown, Camden and Picton today is their peri-urban location, on the city’s rural-urban fringe. This location fosters Macarthur regionalism as Sydney’s urban growth threatens re-shape place in these communities. TKD Architects, Managing the Future of Camden Park, Menangle, New South Wales, Camden Park Preservation Committee, Camden, 2014. 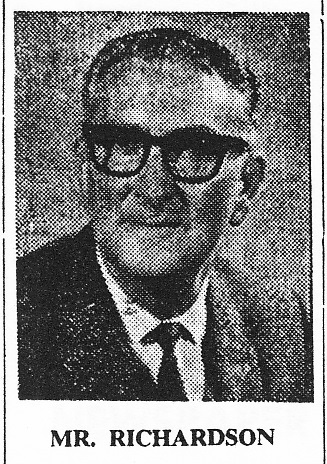 ‘Mr Syd Richardson board chairman’, Camden News, 26, 27 & 28 August 1969. Jeff McGill, ‘Local history caught by newspaper Webb’, Camden Advertiser 2 March 2005. 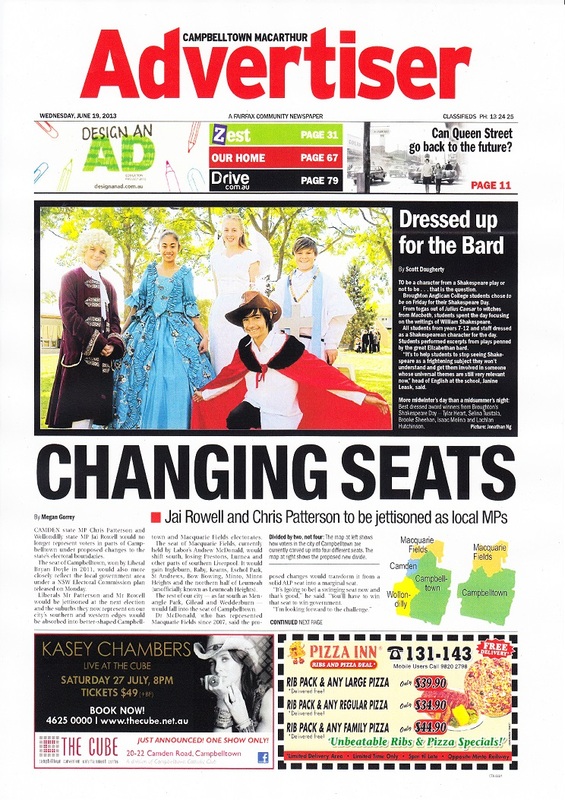 ‘From Camden Advertiser to Macarthur Advertiser’, Wollondilly Advertiser 10 February 2010. James Deane, ‘Roles in Response to Change’, Royal Australian Planning Institute Journal, January 1974, vol 12 no 1, p.35. Macarthur Development Board, New Cities With History, Promotional brochure, Campbelltown, 1976. Ian Willis, ‘Townies, ex-urbanites and aesthetics: issues of identity on Sydney’s rural-urban fringe’, AQ – Australian Quarterly, Vol 83, Issue 2, (Apr/June 2012). Jeff McGill, Campbelltown, A Modern History, 1960-1999, Campbelltown and Airds Historical Society, Campbelltown, 1999, p. 29. Neil Marshall, Brian Dollery, & Angus Witherby, ‘Regional Organisations of Councils (ROCS): The Emergence of Network Governance in Metropolitan and Rural Australia?’, Australasian Journal of Regional Studies, Vol 9, No. 2, 2003, pp. 169-188. MACROC Annual Report 2011-2012, MACROC, 2012. Online @ http://www.macroc.nsw.gov.au accessed 27 May 2013. Christine Winning, Executive Officer, MACROC, email, 4 April 2014. In Macarthur Magazine. Online @ http://www.inmacarthurguide.com.au/. Accessed 30 March 2014. 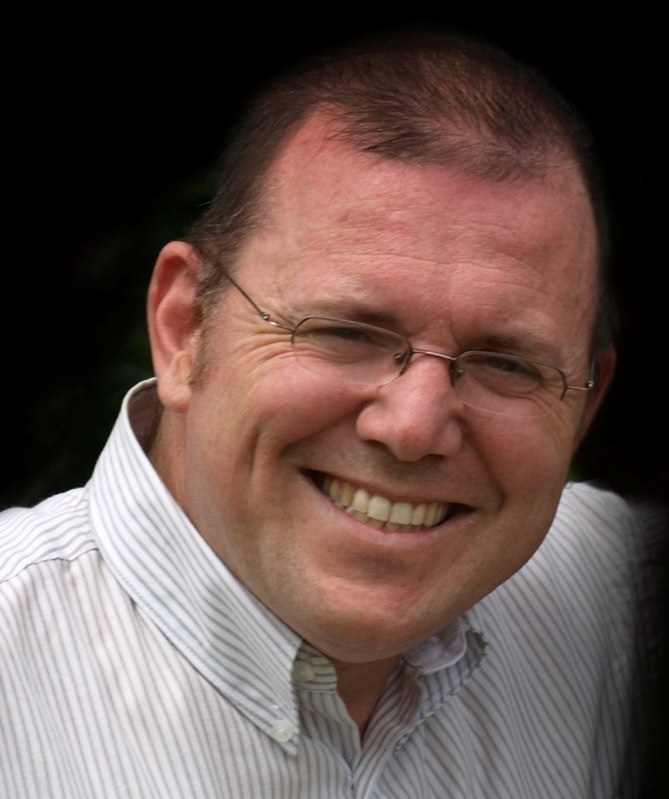 David Everett, Publisher In Macarthur Magazine, Email communication, 31 March 2014. Camden News 16 August 1978. Betty Yewen, Interview, Camden, 9 April 2014. Betty was the former secretary of the association for a number of years. Pam Down, Macarthur Country Tourist Association, Correspondence, 26 November 1994. Camden Interim Tourist Committee, Minutes, 26 June 1996. The Richlands estate, north of Goulburn in the NSW Southern Tablelands, was an important part of the Macarthur family pastoral empire for nearly 100 years. The Richlands estate acted as an outstation about one days ride west of Camden Park estate. 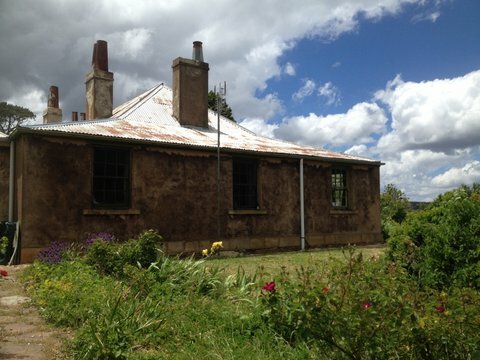 The property reached its hiatus in the 1840s when its extent reached around 38,000 acres including the private village of Taralga. James and William Macarthur initially took up adjacent land grants of around 2000 acres between Taralga Creek and Burra Lake in 1822. The area had been traversed by a party led by Charles Throsby in 1819 looking for an alternative route to Bathurst other than the arduous route across the Blue Mountains. Throsby and company journeyed from the Moss Vale area, crossing the Wollondilly River then the Cookbundoon Ranges near Tarlo, turning north are eventually arriving at Bathurst. Reports of these areas encouraged pastoralists to take up land, one of the first was Hannibal Macarthur, John Macartur’s nephew, at Arthursleigh on the Wollondilly. In a speculative venture in 1822 James Macarthur and partners Lachlan MacAlister and John Hillas, overseer with William Macarthur, moved a mob of cattle over the Cookbundoons and left them in charge an assigned convict Thomas Taylor at Tarlo. Hillas and MacAlister also took up a grants adjacent to the Macarthur holdings. On the death of John Macarthur in 1834 the Richlands estate passed to Edward Macarthur, a career British soldier, while managed by James and William Macarthur on his behalf. While the Richlands estate was governed by absentee landlords the real story is of those who formed the microcosm of society on the estate. They included convicts, managers, tenant farmers, servants and the Burra Burra people, who were dispossessed and displaced from their country. For the twenty years of the Richlands estate it was managed from the fledgling settlement of Taralga on the southern edge of the property. There was a central store and a number of skilled tradesmen, convicts and their overseers were based in the village from the 1820s. James and William Macarthur acquired land by grant and purchase north and south of the hamlet of Taralga including 600 acres from Thomas Howe of Glenlee in the Cowpastures in 1837. 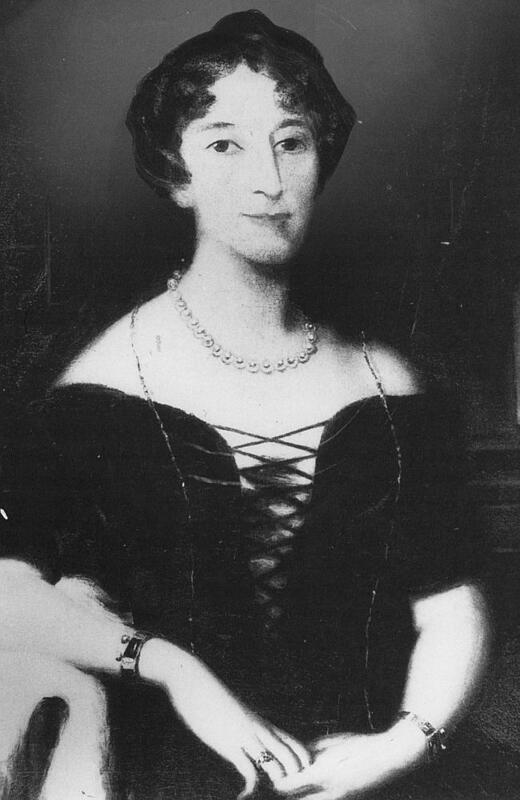 The diary of Emily Macarthur’s, James’ wife, showed that William made six-monthly visits to Richlands from 1840. 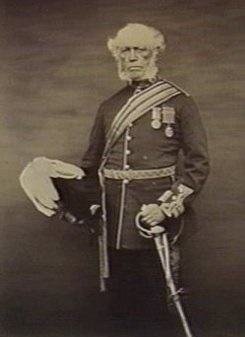 Lieutenant Colonel Edward Macarthur visited Richlands in 1851 after being posted to Sydney as deputy adjutant general. Work began to move the management of the estate from the village to the hilltop overlooking Burra Lake and Guineacor to the east. Hilltop locations for homesteads were common throughout the Cowpastures and were of other Macarthur properties. It followed Laudon principles and provided a defendable strategic location on the estate. William Campbell was appointed superintendent in 1839 and work began on stone offices on the farm hilltop site, along with underground grain silos, convict accommodation and outbuildings. Work was completed by 1844 when Thomas and Martha Denning occupied the house forming a small quadrangle. Denning was appointed overseer (farm manager). Work on a new on a Georgian-style residence began in 1845 for new English estate manager George Martyr, who took up the position after his arrival in the colony in 1848 after marrying Alicia in Sydney. Martyr took an active interest in community affairs serving on Goulburn Council and supervising construction of the Catholic Church in the village. A qualified surveyor from Greenwich Martyr surveyed the village of Taralga and the Macarthurs offered village lots for sale from 1847. George and Alicia raised six children on Richlands. The property was eventually resumed by the New South Wales Government in 1908, broken up for closer settlement and sold in 30 smaller lots in 1910. Peter Freeman Pty Ltd, Richlands-Taralga, Conservation Management Plan, Richlands Conservation Management Plan, 1997. One of the most important pieces of economic and social infrastructure in the Macarthur area is the Macarthur Bridge. 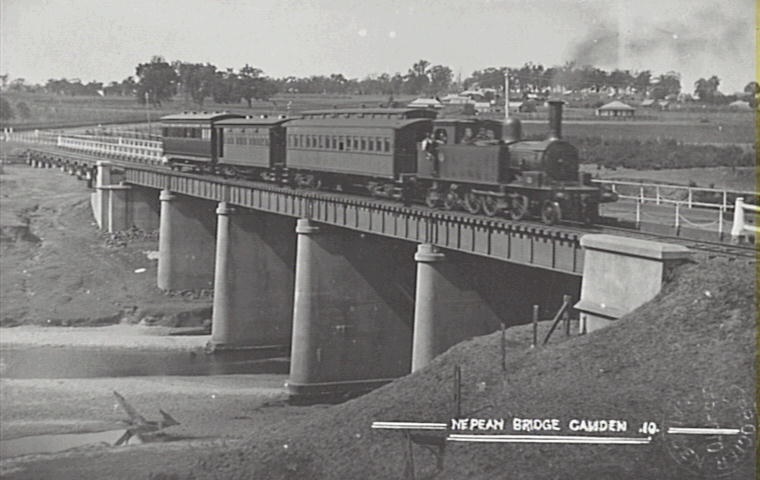 The bridge is also one of the most significant pieces of engineering heritage in the Camden Local Government Area. The bridge provides a high-level flood free crossing of the Nepean River which can isolate the township of Camden when the numerous low-level bridges in the area are flooded – the Cowpasture Bridge (Camden), the Cobbitty Bridge and the Menangle Bridge. The Macarthur Bridge is named after one of the Camden district’s first land grantees John Macarthur and their pastoral holding of Camden Park, which the family still occupy. There are many descendants of the Macarthur family in the Camden district. The naming of the bridge also co-incided with the establishment of the Macarthur Growth Centre at Campbelltown by the Askin Liberal Government in 1973 and support from the new Whitlam Federal Government for the Macarthur Growth Region. These were originally part of the 1968 Sydney Region Outline Plan from which the 1973 New Cities Structure Plan for Campbeltown, Camden and Appin appeared. These were exciting plans that were developed at the time with the provision of extensive infrastructure across the new growth centre. Some of the infrastructure eventuated and many parts did not. The New Cities Plan turned into a developers dream and hastened Sydney’s urban sprawl into the southern reaches of the Cumberland Plan. The Macarthur Region is one of those legacies. The Macarthur bridge guaranteed flood free access from the Burragorang Coalfields to the Main Southern Railway at Glenlee for American shipping magnate Daniel Ludwig’s Clutha Development Corporation.. This was particularly important given the defeat of the Askin Liberal Governments support for a proposal by Clutha for a rail link between the Burragorang Coalfields and the Illawarra coastline. The Askin government passed special enabling legislation and the issue turned into one of the first environmental disputes in the Sydney basin in the early 1970s. The high level Macarthur Bridge allowed the diversion of coal trucks from the Burragorang Valley coalfields away from Camden’s main street passing across the low-level Cowpasture Bridge from 1973. Coal trucks then travelled along Druitt Lane and over the Macarthur Bridge to the Glenlee Washery at Spring Farm. The flooding by the Nepean River of the road access to the township of Camden at the low-level Cowpasture Bridge has been a perennial problem since the town’s foundation in 1840. I am advised that Macarthur Bridge was built in the early 1970’s on the basis that most of the long distance traffic would use the F5. I am advised that the primary function of the Macarthur Bridge was for use as a flood relief route. It was built parallel to the Cowpasture Bridge at Camden to take the full traffic load when the Cowpasture Bridge is impassable. The Macarthur Bridge has a 26-span, 3380 feet (approximately 1.12 km) long concrete structure that carries the Camden Bypass across the Nepean River and its flood plain. The bridge was built between 1971 and 1973, originally to carry Hume Highway traffic, on a flood-free alignment around Camden. 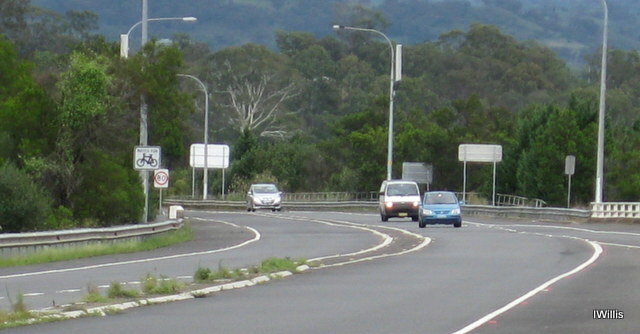 The Camden Bypass is the former Hume Highway alignment between the localities of Cross Roads and Camden. It is marked as State Route 89. The proper route is from Cross Roads, skirting Camden via the Camden Bypass and ending at Remembrance Drive, another part of the former Hume Highway near Camden South. The Camden Bypass was in turn bypassed in December 1980 when the section of what was then called the South Western Freeway (route F5) from Campbelltown to Yerrinbool was opened. It has grown in importance as a major arterial road linking the Hume Motorway, WestLink M7 and M5 South Western Motorway interchange at Prestons, near Liverpool, with Camden. The bridge was designed by the staff of the Department of Main Roads and is the longest structure built by the Department since its inception in 1925. Length (Overall) 3380 feet comprising 26 spans each of 130 feet long. Width between kerbs 30 feet with one footway 5 feet wide. Piled foundations (max 90 feet deep) were constructed by the Department’s Bridge construction organisation. Piers and superstructure by contact by John Holland (Constructions) Pty Ltd. Total cost of bridge £2,600,000. Westies, Bogans and Yobbos. What’s in a name? What’s in a name? Quite a lot if you live in the fringe urban communities of Campbelltown, Camden or Picton in the Macarthur district on Sydney’s rural-urban fringe. In the past these communities have been fiercely parochial country towns with clearly identifiable differences based on history, heritage, traditions, mythology, rituals, demographics, local government and a host of other factors. With the encroachment of Sydney’s urban sprawl they have been wrapped up by the tentacles of the metropolitan octopus and faced challenges on a variety of fronts. The questions that this article raises concern Macarthur regionalism. Is it authentic? How representative is it of the former country towns that are now incorporated within it? Residents of Campbelltown, Camden and the Picton-based Wollondilly Shire are fed up with being thrown into the same geographic area as Lakemba, Punchbowl and Campsie in a distant, unconnected part of Sydney. McGill’s article hit a raw nerve and highlighted the contested nature of community identity and a sense of place in three of Sydney’s fringe communities. The contentious nature of regional identity was reflected in over 200 comments on the blog accompanying McGill’s article. Many bloggers expressed their anger and for CSKN, ‘If you don’t live on the North Shore or the Northern Beaches, then you’re all westies’, or Peter who staunchly maintained that ‘Campbelltown in not Sydney’. Jenny was struck by the snobbery of city-types because she was from Campbelltown. ‘If you mention to someone that you live at Campbelltown you see them slightly recoil, the expression of contempt passing fleetingly from their face. Then they want to know how on earth you managed to get the job, but get through uni. Because, after all, isn’t everyone from Campbelltown slow-witted, lazy, anti-social and committing crimes? Don’t we all have babies at 16, then abuse them while we are drinking and taking drugs? McGill was surprised by the strength of the anger expressed in the numerous responses to his article. He said that ‘it got an unexpectedly large reaction. I’ve rarely ever been stopped, or contacted, by so many enthusiastic backers. A raw nerve was touched.’ He maintained that local residents got ‘annoyed’ when they are lumped together with ‘Campsie or Punchbowl’, which are over 40 kilometres away. The Sydney media are happy to identify other smaller regional parts of Sydney including the ‘upper north shore’, the ‘lower north shore’, the ‘northern beaches’, yet they lump everyone from Pyrmont to Picton into one amorphous mass. As a local storyteller McGill has worked hard to build a narrative of place that underpin people’s identity and attachment to Campbelltown. He is a local identity who grew up in the area, went to Campbelltown High then worked as a journalist at The Daily Telegraph and The Daily Mirror, and returned to the area as the senior journalist with The Macarthur Advertiser. He later became editor of The Penrith Star, then The Liverpool City Champion and finally progressed to be the editor of the Campbelltown-Macarthur Advertiser. He has published a number of local histories and stated that ‘local history gives people pride and a place in our town’ and accords with SM Low’s typology of people’s cultural and symbolic linkages with place that are based on stories, family, loss, land ownership, mythology and spirituality. McGill’s article has highlighted a crisis of identity amongst locals around the ownership and usage of place-names and has created a level of sensitivity in the community. It offends their sensibilities when they are lumped together with other parts of Sydney’s west and south-west, which have their own challenges and stereotypes. Campbelltown resident’s have created an emotional investment in place through the ownership of their stories, traditions and celebrations including family births, marriages, deaths, christening, birthdays, first day at school, sporting events, first day child went to school and a host of other events that give meaning to their lives. These events contribute to a landscape of memories with multiple layers of meaning that build across the generations of human activity. McGill and others want to take possession of their identity and rest it away from the Sydney media and others who proclaim their ownership of the same identity. One factor that underpins these sensitivities is a perception by many Sydneysiders that the fringe communities of Campbelltown, Camden and Picton, which is located in the Wollondilly LGA, have a distinctive uniformity that extends across parts of Sydney’s west and south-west. This is simply not true. While regionalism in Sydney’s west and south-west are a product of the post-war period when Sydney’s urban growth spread across the Cumberland Plain, regional labels are administrative conveniences used by politicians, planners, economists, technocrats and bureaucrats who fail to understand the diversity of these areas. Take two examples, the jurisdiction of the Ministry for Western Sydney in the New South Wales state government. It takes in the 10 Western Sydney Regional Organisation of Councils (WSROC) and has added Camden, Campbelltown, Wollondilly and The Hills. On the other hand the Australian Bureau of Statistics (ABS) definition based on labour force regions includes the 12 LGAs: Auburn; Blacktown; Blue Mountains; Camden; Campbelltown; Fairfield; Hawkesbury; Holroyd; Liverpool; Parramatta; Penrith and Wollondilly, while excluding Bankstown and The Hills, which are included in the state governments definition. The one unifying demographic factor identified by the state government is the area’s diversity. The Fairfield LGA has over 70 different languages spoken while Auburn LGA is home to over people from 100 nations. Blacktown, Campbelltown, Liverpool and Penrith LGAs have largest urban communities of Aboriginal and Torres Strait Islander people, while 37.3 per cent of the regional population is under 24 years of age, while the area has a projected population of 2.96 million by 2036. Diversity in itself is not a solid basis for the development of any coherent sense of place or a cohesive narrative that has any real meaning to the community. The lack of any identifiable uniformity across these LGAs for ethnicity, culture, history, tradition or other social or cultural factors means that there is no real basis for any true sense of unity. Bruce Baskerville notes that even the term Western Sydney is only quite recent and was first used by Prospect County Council in 1961 and it did not include the Macarthur LGAs of Campbelltown, Camden or Wollondilly. While the state government and ABS are happy to use these administrative regions they have made no serious attempt to develop a cohesive narrative that contributes to the development of any authentic regional identity. Local resistance to the imposition of these administrative regions by government only complicates the picture. BM Taylor has discussed oppositional identities in regionalism where local interests come together around a regional identity for a particular purpose. The local resistance can be based on local opposition to an arbitrarily imposed regional identity by an administrative body, in this case the New South Wales state government or the ABS. He maintains that regionalism is strongest where other elements of place construction are acting to draw locals together based on a range of other factors including landform, economic factors, socio-cultural factors including common traditions, cultural background, histories, and other spatial considerations. In reality Sydney’s west and south-west has a host of different smaller regional identities including the communities of Campbelltown, Camden and Picton, a form of local tribalism. Bernard Salt maintains that Sydney is ‘a city of tribes and precincts’, a product of the city’s geography and the values of its residents. Kirsten Craze identified seven tribes of Sydney including ‘the Might West’ while Sacha Molitorisz has identified eight youth tribes and sociologist Gabrielle Gwyther says Sydney’s west contains ‘mulitudes’ of groupings. In 1996 a delegate at a local tourism forum stated that Sydney’s west ‘is too large an area to function with unity. What does Wollondilly have in common with Hawkesbury’. These sub-regional identities are reflected in the local editions of the two principle suburban newspaper publishers across Sydney’s west and south-west. Fairfax Community Newspapers publishes five weekly mastheads in Sydney’s south-west and a further 12 local editions across the remainder of western Sydney, while News Corp stable, publishes 12 mastheads in Sydney’s west and south-west as well as 3 local editions in the Macarthur region under NewsLocal, a division of Nationwide News. These weekly newspapers regularly carry a host of local stories, advertisements and notices that reflect local identity and branding. They are the voice of the local community and act as a noticeboard, which is not a characteristic of the national daily newspapers. Community stores, which are personal and small-scale, are the lifeblood of these newspapers. In many ways these newspapers are purveyors of the gossip that circulates through family and inter-personal networks, the essence of the local. Sydney’s west and south-west have also been stereotyped as regions that are dangerous foreign places, a form of Otherness. According to Diane Powell Sydney’s west is seen by some,, ‘as some kind of ‘third world’ space in relation to the rest of Sydney’. Western Sydney ‘inhabitants are stigmatized, made ‘other’ – victims perhaps of disadvantage, but passive and often hopeless’. Powell quotes a number examples of the Sydney media that portray the western suburbs as ignorant, illiterate yobs. She goes further saying that ‘the many hundreds of newspaper clippings about the western suburbs I have collected illustrate a peculiar pre-occupation with people ‘living on the edge’. One outburst by media commentator Eddie McGuire typified the attitude of many when he dismissed the western suburbs of Sydney as the ‘land of the felafel’. Sydney’s western suburbs, according to philosopher Michael Symonds, are seen by many as ‘an ugly, barren wasteland’, to lack ‘beauty and a history of enchantment’ and the ‘tranquil prettiness of the leafy suburban home’ that can be found in the eastern suburbs, north shore or Sutherland Shire. The west is ‘a cultural wasteland’ which was ‘ugly and dangerous’, the home of ‘the yobbo’, and the ‘westie’, who are part of the ‘otherness’ created by city folk. Bruce Moore has stated that the term westie originated in the 1970s as a pejorative for someone living Sydney’s western suburbs and perceived to be socially disadvantaged and that the term bogan became common in the 1980s. These perceptions are not helped by media headlines that portray the area as a type of war zone. Some examples include: ‘Man stabbed in Sydney’s west’ (Location: Parramatta); ‘Man short in Sydney’s west’ (location: Granville); ‘Man shot dead in Sydney’s west’ (location: Chester Hill); ‘Four men wounded in western Sydney shooting’ (location Smithfield); ‘A house and cars have been damaged in another shooting in Sydney’s southwest’ (location Lakemba); and ‘South-west Sydney ‘a recruitment for Islamic fundamentalists’ (location Auburn). Macarthur residents state that they are not part of Sydney’s west or south-west, which they perceive as some sort of ‘cultural wasteland’. Yet the remainder of Sydney, in the eyes of McGill’s bloggers at least, do see Macarthur residents as part of that so-called wasteland. McGill maintains that the Campbelltown, Camden and Picton area ‘is so much deeper that the bogan stereotype portrayed on TV’. The Campbelltown Chamber of Commerce president Anne Parnham has stated that she is ‘sick of people saying ‘You had another shooting over your way’, when they were in Bankstown’. Campbelltown’s state MP, Brian Doyle, said that ‘he was often… frustrated by broad references to the south-west’. The Deputy Mayor of the Wollondilly Shire, Councillor Benn Banasik said that he ‘didn’t find a real commanlity between people from Fairfield and people for Wollondilly’. One newcomer to the suburb of Harrington Park, who moved from Sutherland, told Gabrielle Gwyther that Harrington Park was not the western suburbs. ‘Its more rural. I wouldn’t live in the western suburbs’. When asked ‘why not?’, the newcomer replied ‘well, they’re a different type of person’. McGill wants Campbelltown, Camden and Picton to be known as the Macarthur region so as to differentiate them from the rest of western and south-western Sydney. While at the same time admitting that the regional name Macarthur, which he staunchly defends, has ‘nothing to do with Campbelltown’ and yet has become the generic regional identity of the area. So what is the justification for using the place-name Macarthur for the Campbelltown, Camden and Wollondilly LGAs? Is it authentic? The first official use of the term Macarthur as a regional place-name was the proclamation of the new Federal seat of Macarthur in 1949 after the 1948 re-distribution and the Federal House of Representatives was increased from 75 to 122 members. The new seat of Macarthur was named after the colonial wool pioneers John and Elizabeth Macarthur of Camden Park, which according to a recent heritage report from TKD Architects ‘is the most important surviving early colonial estate in Australia and ranks amongst the most historic houses in Australia’. The original land grant to John Macarthur in 1805 took place on the Nepean River floodplain and eventually the familiy’s colonial estate of Camden Park covered parts of what is now the Campbelltown, Camden and Wollondilly LGAs. The current Camden Park Heritage Precinct listed on the New South Wales State Heritage Register is primarily located in Wollondilly Shire, with a small northwestern section in the Camden LGA, while the northeastern boundary borders the Campbelltown LGA. The historical importance of the Macarthur legacy is closely aligned with the story of the Cowpastures which is located in today’s Wollondilly and Camden LGAs. On a broader level the Macarthur story is just one part of the history of the network of gentry estates that extended across the western Cumberland Plain, when the Macarthur family established Camden as an estate village on the family’s pastoral property. 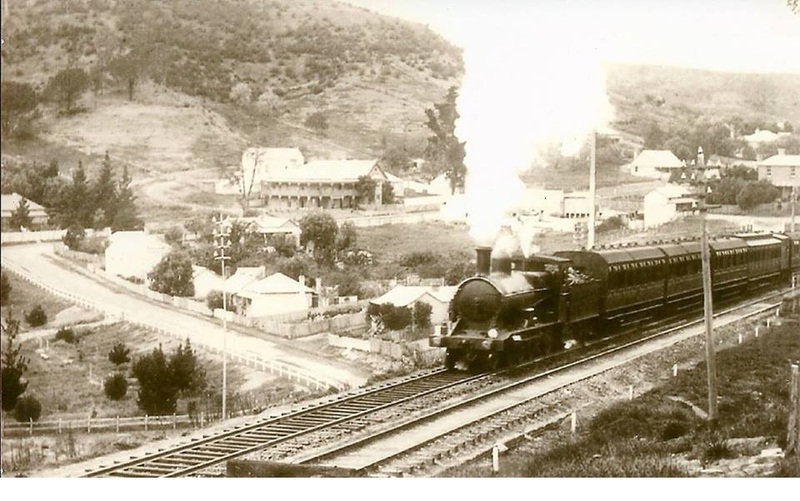 The Campbelltown story is linked to the smallholders who took up the early land grants and the market town that served them, while Picton’s history is a mix of influences linked to the Antill’s estate village and the development of the government town. Daily life in these country towns was ruled by intimacy, class, inter-personal and familial networks, rugged independence, patriarchy, sectarianism, rural poverty and a host of other factors. Each community had an authentic and natural distinctiveness that has contributed to their identity and sense of place. Locals residents had an emotional attachment and a patriotic loyalty to their locality, expressed as parochialism and localism. Today the close geographic proximity of Campbelltown, Camden and Picton means that they are a natural fit for the type of regionalism of Sydney’s rural-urban fringe that is represented by the place-name of Macarthur. The use of the Macarthur place-name got a leg up in 1958 when local media baron Sydney Richardson felt that local regionalism provided a great business opportunity. There were enough unifying characteristics across the three country towns, he thought, that justified launching a new regional newspaper using the Macarthur masthead. He re-named the Camden Advertiser, a free Camden weekly newspaper he took over from Ken Gibson in 1955, as the Macarthur Advertiser. Richardson had two competing newspapers – the Camden News and the Camden Advertiser – in the same Camden market place. He had previously purchased both the Camden News and Campbelltown News from the Sidman brothers in 1952. Richardson promoted the Macarthur Advertiser as a free regional newspaper and expanded its circulation to included Campbelltown and Picton. The newspaper had a broad regional compilation of news and advertisements from the three towns and he ‘forged and popularized a new regional name for Campbelltown, Camden and Wollondilly’. Richardson, like McGill, was a local patriot and understood the significance of parochialism to the success of his local newspaper empire. Richardson was also president of the Country Press Association of NSW 1960-1962, the Picton RSL, the Camden RSL, the Camden Chamber of Commerce, an alderman on Camden Council and a member Camden Rotary Club. In 1982 Richardson merged the Macarthur Advertiser with other local newspapers – Campbelltown-Ingleburn News, Camden News and Picton Post – which he had previously sold to Suburban Publications, a joint venture between John Fairfax and Sons and Australian Consolidated Press, in 1969. Richardson’s new regional newspaper prospered and was a builder of community and identity by being a regional voice and notice board for the first time, and in the process strengthened people’s attachment to the concept of a regional identity. Town planners and administrators strengthened the official support for the use of the Macarthur place-name in 1975 with the establishment of the Macarthur Development Board, with its head office in Campbelltown’s heritage precinct. 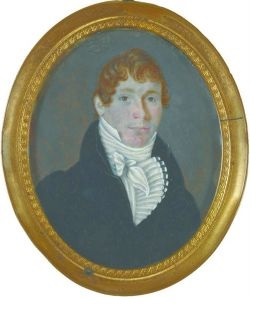 Peter Kacirek, the chairman of the Sydney SW Sector Planning and Development Board, renamed it as the Macarthur Development Board, against much local opposition which local residents felt affronted the legacy of Governor Lachlan Macquarie, who proclaimed the town in 1820. Campbelltown parochialism was piqued as many felt that the place-name of Macarthur was more the province of Camden and the Cowpastures, an argument that was more pointed given the decades of rivalry between Campbelltown and Camden. The purpose of the board was to implement the 1973 New Cities Plan for Campbelltown, Camden and Appin as part of the 1968 Sydney Regional Outline Plan. The New Cities Plan called for the development of the Macarthur growth centre, located away from the Campbelltown central business district in Queen Street. The aim of the Macarthur Development Board was to ‘plan, co-ordinated implement’ the New Cities Plan with power to compulsory acquisition of land. 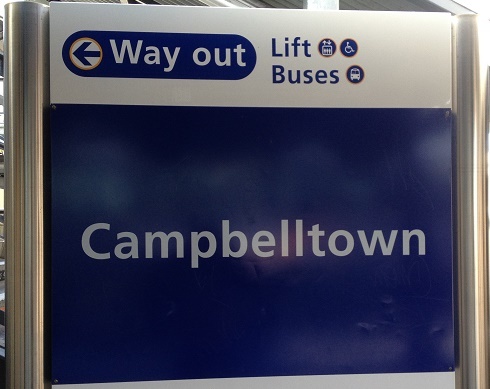 Town planner James Deane, from the Urban Development Institute of Australia, felt that the name Campbelltown should be completely abolished and replaced with the City of Macarthur. The New Cities Plan incorporated the colonial story of the Macarthur family and Camden Park and felt that the Macarthur legacy was essential to the identity of the new growth centre. The board stated in 1976 that ‘the area of Macarthur is steeped in rich tradition and much of the early history of New South Wales was recorded here. The aim of the Board it to link the historic past with an exciting and vigorous future and to plan for the enjoyment and benefit of all members of the community’. Unfortunately the Macarthur family felt otherwise and sold most of the pastoral property to housing developers in 1973 against a national outcry. Town planner Peter Kacirek, an amiable well meaning person, was chairman of the Macarthur Development Board between 1975 and 1984. He had worked for the UK Ministry of town and country planning and was a major figure in British new town movement. He established the School of Town Planning at the University of Queensland and was at the New South Wales State Planning Authority from 1967 where he was deputy chief planner then chief planner. He was integral to the formulation of Sydney Region Outline Plan and growth centres at Bathurst-Orange and Albury-Wodonga. In 1976 Kacirek was awarded Sidney Luker Memorial Medal awarded by Planning Institute of Australia for the person who has made a notable contribution to urban and regional planning. His part in the development of the Sydney Regional Outline Plan and new Macarthur growth centre were seen as international best practice at the time for urban planning development. To the disappointment of many the Macarthur growth centre was a short lived town planner’s pipe-dream. The new regional centre was planned to have high-rise office blocks, conference facilities, sports stadiums, transport interchange and become a city within a city and to be located on Campbelltown Golf Course (1971), which was acquired against significant local opposition. There was some progress within the growth centre precinct with the construction of Macarthur Square (1979), Macarthur Railway Station (1985), the Macarthur Institute of Higher Education (1983) and the launch of a new Macarthur community radio station 2CT (1978) yet the new TAFE college (1981) and hospital (1977) both carried the place-name Campbelltown, not Macarthur. The Federal Whitlam government promised funding of $25 million in 1975, which was slashed in 1976 to $2 million dollars by the incoming Fraser Government but by 1978 all funding had dried up. Open hostilities broke out between Campbelltown City Council and Macarthur Development Board over the ‘regional centre’ in 1979 when the Wran state government approved the construction of Macarthur Square funded by State Super. 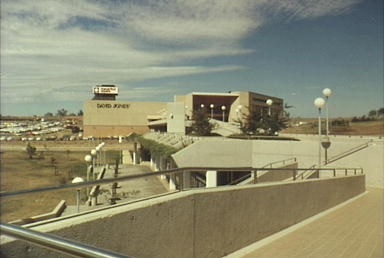 The Macarthur Development Board continued to foster the regional centre over Campbelltown’s Queen Street precinct as the retail and community hub in 1980, and by 1984 the Board was $200 million in debt. Peter Kacirek was sacked and Ian Henry, former Campbelltown council planner, was appointed by the state government. In 1985 the regional centre was slashed by Wran Labor state government and the Board was stripped of planning power and restructured to Macarthur Development Corporation, which was a small promotion unit. Ian Henry stated that the Macarthur Development Board was ‘an over-expanded planner’s dream turned nightmare’ and in 1989 the MDC restructured and renamed Business Land Group, which was little more that a sales unit. The Macarthur growth centre road crash had been driven up onto the rocks of divisiveness by the state government’s push of large scale public housing into the Campbelltown area, the development of the ‘ugly Campbelltown’ stereotype and the moral panic that ensued. Problems originated in 1969 when Campbelltown Council was forced to sell large tracts of land at Macquarie Fields to the state government for welfare housing. Fortuitously McGill notes in his history of Campbelltown that critics of the sale were concerned at the time that it would result in ‘slums for the future’, claims that were dismissed by the New South Wales Housing Commission. In 1975 there was a recession and private developers were forced out of housing market and the New South Wales Housing Commission took up the slack. In 1975 the Sydney media portrayed an image of Campbelltown as an ‘ugly houso wasteland’ and in 1976 The Sunday Telegraph stated that ‘Campbelltonians were so embarrassed by their address that they would not admit it’. In 1978 Catholic Bishop Dr William Murray visited Minto and criticized the high density public housing and by 1978 one third of all Campbelltown residents were ‘public housing tenants’. In 1980 the Sydney media generated moral panic around public housing ‘ghettos’ and there was continued criticism of public housing enclaves at Macquarie Fields, Airds, Minto, Claymore and Ambervale. Public housing was accused of generating a ‘demoralised’ way of life and public meetings of tenants labeled criticism at ‘cheap, shoddy journalism’. By 1984 the New South Wales Housing Commission had changed its priorities and abandoned a new public housing estate at Bow Bowing. From the 1970s one of the biggest champions of the Macarthur legacy was local politician Elizabeth Kernohan, whose political activity indirectly supported the Macarthur place-name. Kernohan, an agricultural scientist, was originally politicized by the 1973 release of the New Cities Plan, which she felt would destroy the area’s rurality. She was subsequently elected to Camden Council and in 1991 state parliament. Her political mantra centred on the powerful combination of the Macarthur mythology at Camden Park, along with Camden’s rurality, Englishness, rural heritage and conservatism. She used this an effective weapon to batter the supporters of both Sydney’s urban sprawl and the Macarthur growth centre at a local and state government level. Her political activities were enlivened by the public outcry at a local, state and national level in 1973 by the sale of most of Camden Park by the Macarthur family to land speculators. She vigorously defended the history and heritage of the Macarthur legacy in a bitter 1995 election campaign in defence of her Camden seat where Kernohan raised the folk devil of public housing and ‘the ugly Campbelltown’ stereotype against a residential development at Cawdor. She successfully elevated the iconic symbolism associated with presence of the Macarthur brand across the region while staunchly defending the areas rurality assisted by her immense popularity. One of her legacies is the location of the Elizabeth Macarthur Agricultural Institute on the former pastoral property of Camden Park, with the institute’s website boasting that it continues the traditions of John and Elizabeth Macarthur. The communities of Campbelltown, Camden and Picton have an ongoing connectedness to their rural heritage and in the face of Sydney’s urban sprawl the region’s rurality takes a number of forms. There is the annual country show in each community and other community festivals that honour their colonial past. There is also a common nostalgia about the loss of their country town status and the countryside that went with it with its rural landscape of fences, paddocks, haysheds, farmhouses, and other features. At Campbelltown the rural landscape and vistas have been protected along the ridge line between Denham Court and Mount Annan under scenic protection zonings as the ‘Scenic Hills’ in 1972, which restricted development of an area that is still today characterized by its rural acreages and large homes. Even in the late 1960s, as McGill notes is his Campbelltown’s history, as new suburbs started to appear at Bradbury, Ruse and Leumeah Heights newcomers were complaining in letters to editor in local newspapers that ‘they had escaped the rat race and wanted Campbelltown to remain as the same uncomplicated, semi-rural haven they had first found’. Even under the 1951 County of Cumberland Scheme where Campbelltown was identified as a satellite town there were green belts of open space, which effectively aimed to protect the area’s rurality. 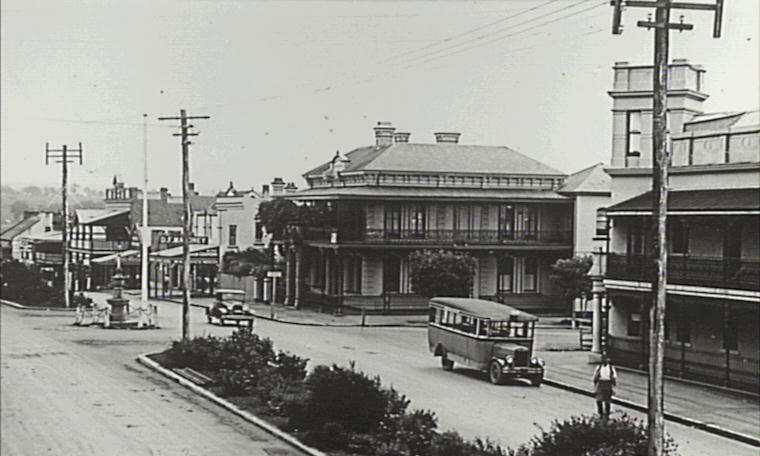 The scheme acknowledged the both natural and historic landscapes and County of Cumberland Scheme undertook a historic survey of historic buildings in Campbelltown in 1963 and purchased Campbelltown’s Queen Street Georgian buildings. This was the first time that the New South Wales Government had acquired privately owned buildings and was seen as a landmark in the state’s conservation movement. Today the most important unifying theme between Campbelltown, Camden and Picton in their peri-urban location, on the city’s rural-urban fringe which acts to foster Macarthur regionalism. Their community identity and sense of place has been re-shaped by the forces of urbanization as the Sydney juggernaut as it moved across the Cumberland Plain. The urban fringe has attracted newcomers and Sydney’s ex-urbanites looking for an imagined rural arcadia promoted by land developers and other rent-seekers in master-planned estates. The rurality of these edge communities is contested as a range of actors seek to commodify it on a stage of competing interests around stereotypes and perceptions. The combination of these factors has meant the arrival of Sydney’s urban sprawl has seen some in the community retreat to an idealized version of these country towns, a form of ‘country town idyll’ that is based on the use of local history and heritage. 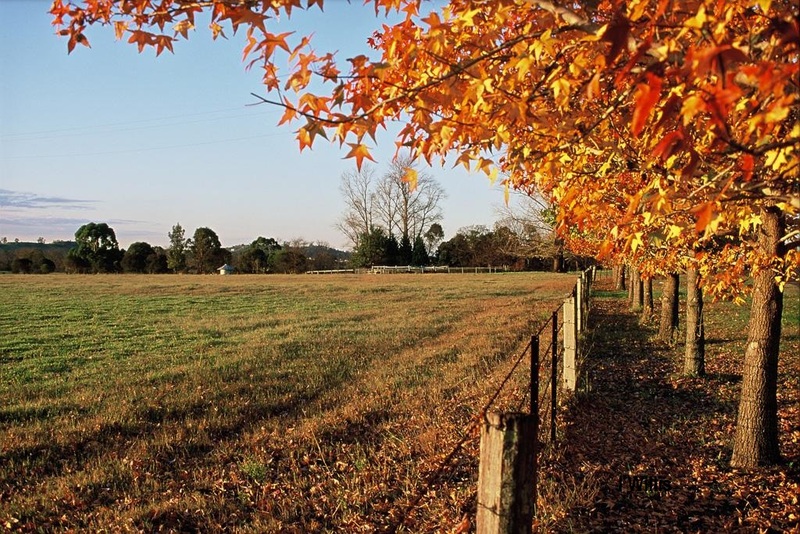 Wollondilly Shire promotes its rurality through its policy ‘Living Together in Rural Wollondilly’ which states that the council provides ‘an opportunity for residents to live amidst a rural setting of productive farming enterprises’. The voluntary sector has had a role to play in promoting Macarthur regionalism through the establishment of the Macarthur Country Tourist Association in 1978. The association had the supported of Campbelltown, Camden, Wollondilly and Liverpool councils, although it collapsed in 1994 after Wollondilly Shire withdrew support. In 1996 after the collapse of the association, Camden Council set up the Camden Interim Tourist Committee and continued to operate independently from Oxley Cottage in Narellan. In 2008 Camden and Campbelltown LGAs started a joint tourism project as part of the Macarthur Tourism Action Plan which was marketed as Destination Macarthur, and was influenced by Tourism New South Wales’s Destination Development Program and the 2007 Griffith Local Government and Shires Association Tourism Conference which used the theme Tourism – An Investment. Wollondilly General Manager Les McMahon has stated that the council was not involved in the 2008 venture because of cost considerations and not any lack of support for local regionalism. In recent months, according to McMahon, the council has re-examined the potential benefits of being involved with a regional approach to tourism. The Wollondilly region conducts an independent tourism strategy through the Wollondilly Tourism Association Inc which is supported by Destination Macarthur, MACROC and Wollondilly Shire. While the website promotes shire attractions, it omits Camden Park, which is located in Wollondilly Shire. 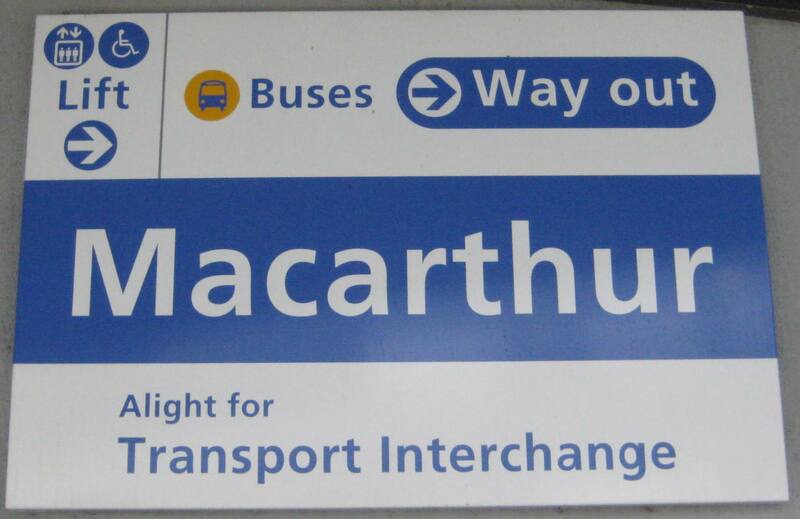 McMahon agrees that Macarthur regionalism needs a clear identity based on the place-name of Macarthur, which has been partially accomplished in Destination Macarthur’s Official Visitors Guide 2013/2014. The Guide gives an account of the Macarthur legacy around Camden Park, although not recognizing its unique national status, while attempting to build a Macarthur tourism brand based on ‘adventure, dining, outdoors, golf, farm visiting and accommodation’. Within the Guide the Macarthur legacy is relegated to a short section on ‘living history’ and states ‘the region of Macarthur is named after renowned pioneers, John and Elizabeth Macarthur’. It does add that ‘Macathur’s heritage is evident at every turn and adds to the region’s charm’ and ‘a simple walk down the towns’ main streets will reveal a rich array of colonial architecture’. Similarly the community voluntary sector has a mixed response for its support of Macarthur regionalism. An examination of the 2005 Camden Community Directory only has 53 voluntary organizations that used Macarthur in their title, out a total listing of 380 entries. One current regional organization is the Macarthur Community Forum, which is an inter-agency organization which was incorporated in 2000 and changed its name to Sector Connect in 2008. It covers the four local government areas of Campbelltown, Camden, Wollondilly and Wingecarribee and acts a peak organization for the not-for-profit sector across the LGAs. The organization operates Volunteering Macarthur and acts as an agency for other government related services including Macarthur Youth Services Network and MacUnity. Other regional voluntary organizations range from the Macarthur Rural Fire Service to regional sporting organizations including Macarthur District Soccer Football Association and Macarthur Basketball Association, while 2013 saw the birth of Quota International of Macarthur after the demise of the Camden Quota Club. In conclusion, a name does matter and Macarthur regionalism is a touchy issue in the communities of Campbelltown, Camden and Picton where identity, place, stereotypes and perceptions are realities for some but not for all. The authentic use of the regional term Macarthur has been contested from its origins and still generates more heat than light. While acknowledging that the Macarthur story and Macarthur legacy does have links to all these communities they all developed identities as small closed rural communities. Government, business and the voluntary sector have a mixed response to Macarthur regionalism. Government has a mixed history on the issue while some local businesses see an identifiable separate market place. Macarthur regionalism has been caught up in the broader issues of regional stereotypes applied to Sydney’s west and south west. McGill and others are seeking to re-take ownership of their identity using the Macarthur place name. It is a hot-button issue given people’s emotional investment in the characteristics that make up the identity of local residents. While Macarthur regionalism has some traction there is still parochial loyalty to the place-name of Campbelltown, Camden and Picton. This creates layers of meaning and memory for many based on hope and loss and a host of other elements that are all part people’s daily lives and their identity. For Macarthur regionalism to gain wider community acceptance its supporters need to develop a much clearer identity and branding. While it has the support of government, business and voluntary organizations there needs to be a stronger narrative around a common message. The cultural landscape of Macarthur regionalism has three common elements that need to be part of the message: the colonial narrative of the Macarthur legacy at Camden Park; the regions rurality; and other aspects of the region’s cultural heritage. 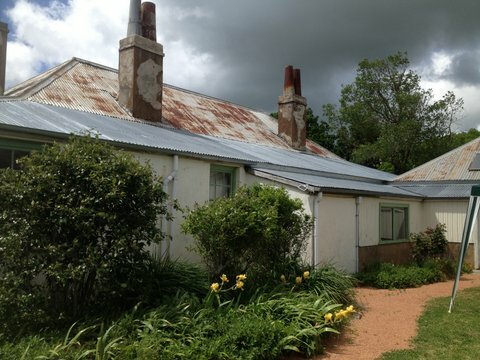 A reasonable start would be to develop a coherent story based on the heritage of the Macarthur family and the national status of Camden Park homestead precinct, followed by support for the region’s rurality that is used by local government, land developers, newcomers, politicians and a host of others. A strong narrative around these themes will have the additional benefit of strengthening community connections and social cohesion, which will in turn increase the meaning, purpose and satisfaction in people’s lives. Regionalism will build community resilience and break down social exclusion particularly in the newly emerging communities where Sydney’s ex-urbanites are seeking a new beginning in a new community. Hope and loss are constant themes that emerge for newcomers as they attempt to build their new identity and sense of place. Jeff McGill, ‘Careful what you call south-western Sydney’, The Sydney Morning Herald, 22 May 2013. Online @ http://www.smh.com.au/comment/careful-what-you-call-southwestern-sydney-20130522-2jzuv.html Accessed 17 February 2014. Jeff McGill, ‘Careful what you call south-western Sydney’. Comments. McGill, ‘Careful what you call south-western Sydney’. Jeff McGill, Address, Camden Historical Society, 14 November 2007. SM Low, ‘Symbolic ties that bind: place attachment in the plaza’ in I Altman and SM Low (eds), Place Attachment, New York, Plenmum Press, 1992, pp. 165-85. Premier and Cabinet, ‘About Western Sydney’, NSW Government, Sydney, 2013. Online @ http://www.westernsydney.nsw.gov.au/about-western-sydney/ accessed 27 May 2013. Bruce Baskerville, Blog comment, ‘Branding the Macarthur region’, PHA NSW. Posted 4 March 2014. Online @ http://www.phansw.org.au/branding-the-macarthur-region/ accessed 30 March 2014. BM Taylor, ‘Regionalism as resistance: Governance and identity in Western Australia’s Wheatbelt’, Geoforum, 43 (2012), 507-517. Bernard Salt, ‘City of hills and tribes flying into urban chaos’, The Australian, 31 March 2012. Kirsten Craze, ‘The seven tribes of Sydney’, The Daily Telegraph, 11 July 2012. Sacha Militorisz, ‘Tribes of Sydney’, The Sydney Morning Herald, 7 January 2010. James Robertson, ‘Defining western Sydney’, The Sydney Morning Herald Online, 5 April 2014. Online @ http://www.smh.com.au/nsw/defining-western-sydney-20140404-3646u.html accessed 5 April 2014. Lesley Johnson, Julie Langsworth and Michael Symonds, ‘Introduction’, in Home/World, Space, Community and Marginality in Sydney’s West, (eds) Helen Grace, Ghassan Hage, Lesley Johnson, Julie Langsworth and Michael Symonds, Pluto Press, Sydney, 1997, p2. Rachel Olding, ‘McGuire-he lied with a falafel in his hand’, The Sydney Morning Herald, 12-13 February 2013, p.3. Michael Symonds, ‘Outside the Spaces of Modernity: Western Sydney and the Logic of the European City’, in in Home/World, Space, Community and Marginality in Sydney’s West, (eds) Helen Grace, Ghassan Hage, Lesley Johnson, Julie Langsworth and Michael Symonds, Pluto Press, Sydney, 1997, pp. 85, 88-89. ‘Man stabbed in Sydney’s west’, 5 July 2008, Online http://www.abc.net.au/news . ‘Man shot in Sydney’s west’, 8 July 2011, Online at http://www.abc.net.au . ‘Man shot dead in Sydney’s west’, 31 December 2011, Online at http://www.abc.net.au/news . ‘Four men wounded in western Sydney shooting’ 26 April 2013, Online at http://www.abc.net.au/news. ‘Two men in custody after Sydney shooting’, 24 June 2013, Online at http://au.news.yahoo.com. ‘South-west Sydney ‘ a recruitment hotspot for Islamic fundamentalists’, 20 March 2014, Online at http://www.dailytelegraph.com.au . Jeff McGill, ‘Careful what you call south west Sydney’, Campbelltown-Macarthur Advertiser, 23 May 2013. Ainslie Drewitt-Smith, ‘Don’t call us ‘South-Western Sydney’, ABC News Illawarra, 23 May 2013. Online at http://www.abc.net.au/local/stories. Accessed 24 June 2013. Gabrielle Gwyther, ‘Western Sydney’, Dictionary of Sydney, 2008. Online at http://dictionaryofsydney.org/entry/western_sydney . Accessed 27 May 2013. 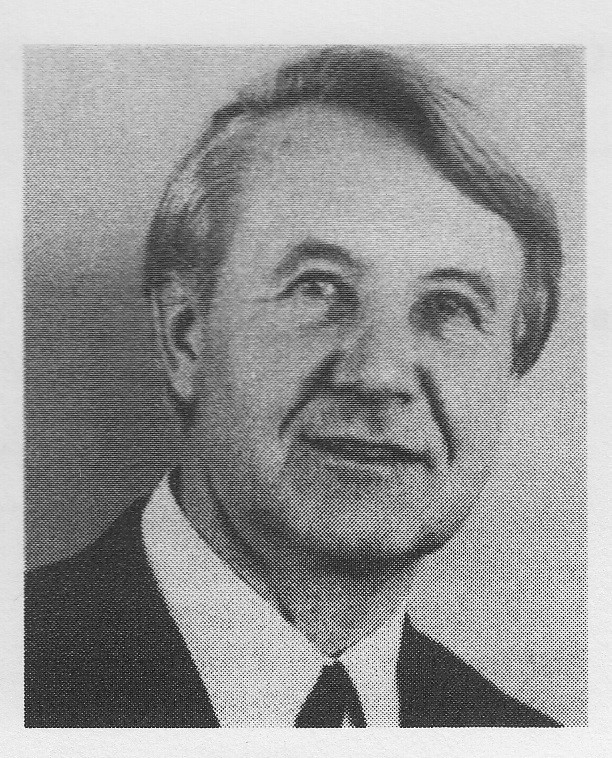 Bob Meyer, ‘Peter Kacirek, Obiturary’, Australian Planner, December 1993, p.62. McGill, Campbelltown, A Modern History, 1960-1999, pp. 29, 49. McGill, Campbelltown, A Modern History, 1960-1999, pp. 29-70. Ian Willis, ‘Townies, Ex-urbanites and aesthetics, issues of identity on Sydney’s rural-urban fringe’, AQ- Australian Quarterly, April-June 2012, pp.20-25. Ian Willis, ‘The member for Camden, Dr Elizabeth Kernohan’, AQ – Australian Quarterly, January-February 2005, pp.21-25. Jeff McGill, Campbelltown, A Modern History, 1960-1999, Campbelltown and Airds Historical Society, Campbelltown, 1999, p38. Carol Liston, Campbelltown, The Bicentennial History, City of Campbelltown, Campbelltown, 1988. Rachel Roxburgh & Helen Baker, Historic Buildings Vol 3, Liverpool and Campbelltown, Cumberland County Council, Sydney, 1963. Environment and Heritage, ‘Queen Street Buildings Group’, Heritage Sites, NSW Government, 2014. Online @ http://www.environment.nsw.gov.au/heritageapp/ViewHeritageItemDetails.aspx?ID=5045135 accessed 14 April 2014. Ian Willis, ‘Yearning, Longing and the Remaking of Camden Identity: the myths and reality of the ‘a country town idyll’, Camden History, March 2012, Vol 3, No 3, pp. 107-117. WSC, Living Together in a Rural Wollondilly, Wollondilly Shire Council, 2014. Online @ http://www.wollondilly.nsw.gov.au/index.php?option=com_content&view=article&id=497545:living-together-in-rural-wollondilly&Itemid=3040 accessed on 14 April 2014. WTA, Welcome to Wollondilly, Wollondilly Tourist Assoc Inc, Picton, 2014. Online @ http://www.visitwollondilly.com.au/index.php accessed 14 April 2014. Les McMahon, Wollondilly LGA General Manager, Telephone Interview, 2 April 2014. Macarthur, Camden and Campbelltown, Official Visitors Guide 2013/2014, Destination Macarthur an initiative of Camden Council and Campbelltown City Council. A Biography of a Country Town. The Camden Bibliography is an attempt to highlight some of the research that addresses the notion of Camden as a country town and the subsequent urbanisation of the Local Government Area. The sources listed in the bibliography cover the geographic area of the Camden district as defined by this author in his thesis, War and Community: The Red Cross in Camden, 1939-1945 (pp. 22-24) and the current Camden LGA. This area includes a number of villages to the west of Camden and the Burragorang Valley, which are all integral to the town’s history and any interpretations drawn from it. For the purposes of this bibliography Camden is a country town undergoing change on Sydney’s rural-urban fringe. It was founded in 1840 and its wealth and material progress were built on farming (dairying, mixed farming and orchards) and mining (silver and coal). Camden’s characteristic landscape is defined by the Nepean floodplain and the hinterland has been a mixture of large estates, owned by the gentry, and smallholders. The townscape reflects the dairy town of the early 20th century, with a population that was dominated by social rank and rural conservatism. In recent years Sydney’s urban growth has engulfed the local area and challenged the very identity of the country town, the community’s sense of place and the notion of a rural landscape. The bibliography is meant to be a starting point for any researcher looking at the local area. It is an overview of sources related to Camden and is not meant to be an exhaustive list of all references. There are the well known sources written by academics and published by large publishing houses, as well as non-academic works by keen amateurs, many of which are self-published reminiscences. While the amateur works lack the finesse of the professional author they do provide a wealth of personal anecdotes and recollections that fill in many of the finer details of country life. Studies of communities on Sydney’s rural-urban fringe or peri-urban areas are not common and none have examined Camden or other small communities and their relationship the rural-urban interface. These communities face increasing levels of urbanisation and the threatened loss of their rurality, identity and sense of place. These sources may assist the researcher come to grips with a variety of cultural myths, icons and traditions within these communities and how urbanisations has led to a re-making of place on the urban fringe. The bibliography makes no attempt to cover the vast array of manuscript sources that are located in a diversity of archives, both government and private. These include local archives (eg, ephemera, reminiscences), State Records of New South Wales (eg, National Emergency Services correspondence files of the war period), National Archives of Australia (eg, wartime records of Camden’s military installations), Mitchell Library (eg, Macarthur Papers) and a host of others. Most of these sources are uncatalogued. This bibliography does not include the lists of personal papers or many newspaper articles that have been written about Camden, nor does it include artefacts, objects, works of art, photographs and other elements which are held in various locations that make up Camden’s material culture and fabric (eg, Camden Museum). Researchers on Camden will come across obscure references to the local area in many places, and as interesting as they might be they are too extensive to list individually here. This bibliography is only a beginning and the author would appreciate being made aware of any significant omissions so that they can be included in the bibliography. Camden Calling, Journal of the Camden Area Family History Society. Grist Mills, Journal of the Campbelltown and Airds Historical Society Inc.
Alexander, Pacita and Elizabeth Perkins, A Love Affair with Australian Literature, The Story of Tom Inglis Moore, Ginninderra Press, Canberra, 2004. Ardler, Gloria, The Wander of it All, Burraga Aboriginal History and Writing Group Inc, Darlinghurst, 1991. Armstrong, Isabel and Geoff, John Armstrong Colonial Schoolmaster, Sydney and Cobbitty, From Original Diaries – 1839 to 1857, Sunbird Publications, Killabakh, NSW, 1997. Ashley-Riddle, Josie, History of ‘Gledswood’, 2nd Edition, Josie Ashley-Riddle, Narellan, 1987. Atkinson, Alan, Camden, Farm and Village Life in Early New South Wales, Oxford University Press, Melbourne, 1988. Australian Council of National Trusts, Historic Homesteads, Australian Council of National Trusts, Canberra City, 1982. 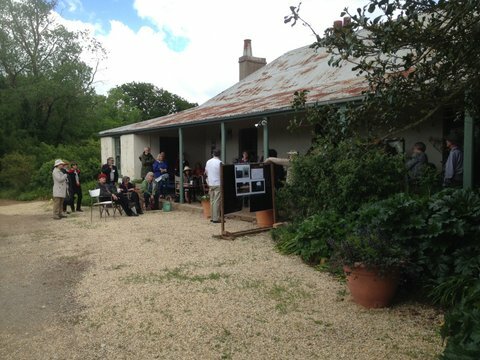 Australian Garden History Society, From Wilderness to Garden, Early Colonial Gardens – Their Future? Proceedings of the 16th National Conference, Australian Garden History Society, Melbourne, 1995. Bayley, William, History of Campbelltown, Campbelltown City Council, Campbelltown, 1974. Bagley, Cathy and Edwina Stanham, Camden Public School Sesquicentenary 1849-1999, Camden Public School Sesquicentenary Committee, Camden, 1999. Barca, Margaret, Advice to a Young Lady in the Colonies, Greenhouse, Collingwood, Vic, 1979. Barrett, Jim, Cox’s River, Discovery, History and Development, Jim Barrett, Glenbrook, 1993. Barrett, Jim, Place Names of the Blue Mountains and Burragorang Valley from Aboriginal and Convict Origins, Jim Barrett, Glenbrook, 1994. Barrett, Jim, Yerranderie, Story of a Ghost Town, Jim Barrett, Glenbrook, 1995. Barrett, Jim, Life in the Burragorang, Jim Barrett, Glenbrook, 1995. Bates, Harry, Church of St Paul, Cobbitty, Consecrated on 5th April 1842: Moments of 125th Anniversary, St Pauls Church, Cobbitty, 1967. Beasley, Margo, The Sweat of Their Brows, 100 Years of the Sydney Water Board, 1888-1988, Water Board, Sydney, 1988. Bell, Gary, Historic Pubs Around Sydney, Ginninderra Press, Charnwood, ACT, 2007. Bickel, Lennard, Australia’s First Lady, The Story of Elizabeth Macarthur, Allen and Unwin, North Sydney, 1991. Bicknell, John R, The Dirty Blooody Jizzy, Gordon: John Bicknell, 2003. Binney, Keith R, Horesmen of the First Frontier (1788-1900) and The Serpents Legacy, Volcanic Publications, Neutral Bay, 2005. Bodkin, Frances and Lorraine Robertson, Dharawal Seasons and Climatic Cycles, Campbelltown: Bodkin and Robertson, 2006. Booth, B & T Nunan, Cawdor Uniting Church, Churchyard Headstones Transcriptions and Burial Register, Illawarra Family History Group, Wollongong, 1989. Booth, Beverly & Ron Clerke, The Churchyard Cemetery of St John’s Camden, Illawarra Family History Group, Wollongong, 1988. Bridges, Peter, Historic Court Houses of NSW, Hale and Iremonger, Sydney, 1986. Broadbent, James, Elizabeth Farm, Parramatta, A History and Guide, Historic Houses Trust, Sydney, 1984. Brosnan, Graeme, Hard Work Never Killed Anyone, Ern Clinton, The Story of My Life,This is My Story, Strawberry Hills, NSW, 2004. Brown, Pam & Marion Starr, Narellan Hidden Treasures, Wilson Crescent Richardson Road Area Resident’s Group Inc, Narellan, 2007. Brunero, Donna, Celebrating 50 Years: The Campbelltown-Camden District Band 1946-1996, Campbelltown and Airds Historical Society, Campbelltown, 1996. Bullen, Paul & Jenny Onyx, Measuring Social Capital in Five Communities in New South Wales, Centre for Australian Community Organisations and Management, Lindfield, 1997. Burge, John, A Glimpse of Cawdor, Sesqui-Centenary Committee of Cawdor Uniting Church, Camden, 2000. Burnett, Brian A, (ed), Camden Pioneer Register, 1800-1900, Camden Area Family History Society, Camden, 1998. Burnett, Brian and Christine Robinson, (eds), Camden Pioneer Register, 1800-1920, Camden Area Family History Society, Camden, 2001. Burnett, Brian, Nixon, Richard and John Wrigley, They Worked At Camden Park, A Listing of The Employees, Leaseholders and Tenant Farmers Known To Have Worked On the Camden Park Estate, Camden Historical Society, Camden, 2005. Burnett, Brian, Nixon, Richard and John Wrigley, Place Names of the Camden Area, Camden Historical Society and Camden Area Family History Society, Camden, 2005. Bursill, Les, Jacobs, Mary, Lennis, et al, Dharawal, The story of the Dharawal Speaking People of Southern Sydney, Sydney: Kurranulla Aboriginal Corp, 2007. Callaghan, Leo, They Sowed We Reap, Catholic Parish of Camden, Camden, 1983. Camden Area Family History Society, Camden Catholic Cemetery, Cawdor Road, Camden, NSW, Camden Area Family History Society, Camden, 2004. Camden Area Family History Society, Camden Municipal Council Municipal List Rates Book 1894-1907, Camden Area History Society, Camden, 2005. Camden Area Family History Society, Camden General Cemetery, Cawdor Road, Camden, NSW, Camden Area Family History Society, Camden, 2005. Camden Area Family History Society, St Thomas Anglican Cemetery, Richardson Road, Narellan, NSW, Camden: Camden Area Family History Society, 2010. Camden Council & Campbelltown City Council, Macarthur Heritage Directory, Camden: Camden Council & Campbelltown City Council, 2008. Camden High School, Camden High School for our 50th Anniversary, 1956-2006, Camden High School, Camden, 2006. Camden Municipal Council, Municipality of Camden, Information and Statistics, Camden Municipal Council, Camden, 1977. Camden Park Preservation Committee, Camden Park, Menangle, Camden Park Preservation Committee, Menangle, 1974. Camden Park Estate Ltd, Camden Park Estate Pty Ltd, Menangle, Camden Park Estate, Camden, ud. Camden Park Estate Ltd, Camden Park Estate, 1765-1965, Camden Park Estate, Camden, 1965. Camden Park Estate Ltd, Camden Park Estate: Australia’s Oldest Pastoral Property, Camden Park Estate, Camden, 1953. Camden Park Estate Ltd, Camden Vale: Special Pasteurised Milk, Production and Distribution, Camden Park Estate, Camden, 1953. Carroll, Brian, The Hume: Australian’s Highway of History, Kangaroo Press, Kenthurst, 1983. Charlton, Lenore, (ed), Alan D. Baker, Artist, 1914-1987, G & M Baker, Orangeville, 1987. Clancy, Eric G, A Giant For Jesus, The Story of Silas Gill, Methodist Lay Evangelist, Eric G Clancy, 1972. Clerke, Ron & Beverley Booth, (eds), The Churchyard Cemetery of St John’s Camden, Illawarra Family History Group, Wollongong, 1989. Cobbitty Public School ‘Child Anzacs Committee’, I Remain the Kid, As Ever, Cobbitty Public School, Cobbitty Public School ‘Child Anzac Committee’, Cobbitty, 2002. Colman, Patricia Margaret, Just a Simple Soul, PM Colman, Deloraine, Tasmania, 1996. Cowles, Christopher and David Walker, The Art of Apple Branding, Australian Apple Case Labels and the Industry Since 1788, Apple from Oz, Hobart, 2005. Cox and Tanner Pty Ltd, Camden Park, Menangle, NSW, A Proposal for Restoration and Rationalisation, Cox & Tanner, North Sydney, 1981. Country Press Association of New South Wales, Annual Report New South Wales Country Press Association, 1947 . Davis, Sue, Chapters of Cawdor, An Account of People and Events that shaped 150 Years of Education at Cawdor Public School 1858-2008, Cawdor, Cawdor Public School, 2008. De Falbe, Jane, My Dear Miss Macarthur, The Recollections of Emmeline Macarthur, 1828-1911, Kangaroo Press, 1988. Den Hertog, Sonja, The History of Burragorang Valley From the Records, The Oaks Historical Society, The Oaks, 1990. Den Hertog, Sonja, Yerranderie, 1871-1995, The Oaks Historical Society, The Oaks, 1999. De Vries, Susanna, Strength of Spirit, Pioneering Women of Achievement From First Fleet To Federation, Millennium Books, Alexandria, New South Wales, 1995. Ditrich, Julie, Realising the Promise: The Story of Harrington Park, Icon Visual Marketing, Camden, 2006. Duffy, Michael, Man of Honour, John Macarthur, Pan MacMillan, Sydney, 2003. Dunn, Ian and Robert Merchant, Pansy, The Camden Tram: An Illustrated History of the Campbelltown to Camden Branch Railway, New South Wales Rail Transport Museum, Sydney, 1982. Ellis, MH, John Macarthur, Angus and Robertson, Sydney, 1955. Evans, Gordon, 55 Years, A History of Camden Bowling Club, Camden Bowling Club, Camden, 1994. The Evangelical Sisters of Mary in Australia, Realities –‘Down Under’, Testimonies of God’s Faithfulness, Evangelical Sisterhood of Mary, Camden, 2006. Fairfax, Marlane, Glenmore Uniting Church (Formerly Methodist) Graveyard, Transcript, Burial Records and Obituaries, Marlane Fairfax, Thirlmere, New South Wales, 1995. Feiss, Mary-Ann, 50 Years of Legacy Torch Bearers in Camden, 1949-1999, Camden Branch of Torch Bearers for Legacy, Camden, 1999. Festival of the Golden Fleece, Festival of the Golden Fleece, Camden Souvenir Programme 22-30 October, 1960, Celebrating the 100th Anniversary of Wool Production in Australia, Festival of the Golden Fleece Committee, Camden, 1960. Fletcher, Chrissy, Arthursleigh, A History of the Property 1819 to 1979, Chrissy Fletcher, Bowral, 2002. The Friends of Wivenhoe, Wivenhoe Historic House, The Friends of Wivenhoe, Camden, 2008. Garland, Jill and John Martin, Historic Churches of New South Wales, AH&AW Reed, Sydney, 1978. Garren, JC & L White, Merinos, Myths and Macarthurs, Australian Graziers and Their Sheep, 1788-1900, Australian National University Press/Pergamon Press, Rushcutters Bay, NSW, 1985. Gleeson, Damian John, Carlon’s Town, A History of the Carolan/Carlon Sept and related Irish Pioneer Families in New South Wales, Damian John Gleeson, Concord, 1998. Hawkey, Vera, A History of St James, Church of England, Menangle, 1876-1976, V Hawkey, Menangle, New South Wales, 1976. Hawkey, HR, Menangle School 90th Anniversary Souvenir Booklet, Anniversary Committee, Menangle, 1961. Hewatt, Les and Robert Johnson, Macarthur Growth Centre, Ruse Publishing, Campbellltown, 1980. Hepher, Jack and John Drummond, Goulburn to Sydney 1902-1992, 90 Years of a Cycling Classic, Jack and Lil Hepher, Bundanoon, 1993. Herbert, Ray, Golden Jubilee, Studley Park Camden Golf Club Ltd, 1950-2000, Camden Golf Club Ltd, Camden, 2000. Howard, Donald, The Hub of Camden, FC Whiteman & Sons, 1941-1942, Camden Historical Society, Camden, 2002. Howard, Donald, Cobbitty’s Finest Hour, Camden: Camden Historical Society, 2010. Hughes, Joy N, (ed), Local Government, Local History: A Guide to NSW Local Government Minute Books and Rate Records, Royal Australian Historical Society, Sydney, 1990. Hulme-Moir, Dorothy, The Silver Cord, ANZEA, Homebush West, 1993. Jackson, Tony, Shepherd, Cathey, Green, Sharon & Brian Burnett, Camden Pioneer Register, 1800-1920, 3rd Edition, Camden: Camden Area Family History Society, 2008. Jeans, DN, An Historical Geography of New South Wales to 1901, Reed, Sydney, 1972. Jervis, James, The Story of Camden, A Modern Farming Community closely allied with the Earliest Australian History: published to Commemorate the Jubilee of the Municipality, Arthur A Gibson, Camden, 1940. Johnson, Janice, The Cemeteries of the Camden Anglican Parish, Camden: Camden Anglican Parish, 2008. Johnson, Janice, Private Cecil Herbert Clark, No 2883, Letters Home, Camden: Camden Historical Society, 2009. Johnson, Janice, If Gravestones Could Talk, Stories from the Churchyard of St John’s Camden, Camden: Janice Johnson, 2010. Johnson, Janice, John Wrigley, Brian Burnett & Richard Nixon, They Worked at Camden Park, A Listing of the Employees, Leaseholders and Tenant Farmers Known to have Worked on Camden Park Estate, 3rd Edition, Camden: Camden Historical Society, 2010. King, Hazel, Elizabeth Macarthur and Her World, Sydney University Press, University of Sydney, 1980. King, Hazel, Colonial Expatriates, Edward and John Macarthur Junior, Kangaroo Press, Kenthurst, 1989. Kirkpatrick, Rod, Country Conscience, A History of the New South Wales Provincial Press, 1841-1995, Infinite Harvest Publishing, Canberra, 2000. Koob, Daphne, Pioneers at Rest, The Uniting Church Cemetery Cawdor, Daphne Koob, Camden, 1998. Knox, Bruce, A History of Local Government in the Wollondilly Shire, 1895 to 1988, Wollondilly Shire Council, Picton, 1988. Lee, Claude N, A Place to Remember, Burragorang Valley, 1957, New South Wales, 2nd Edition, Claude N Lee, Mittagong, 1971. Lee, John N, Rotary Club of Camden, Golden Jubilee Anniversary, 50 Years, 1947-1997, Camden Rotary Club, Camden, 1997. Lhuede, Val, Yerranderie Is My Dreaming, Valued Books, Milsons Point, 2007. 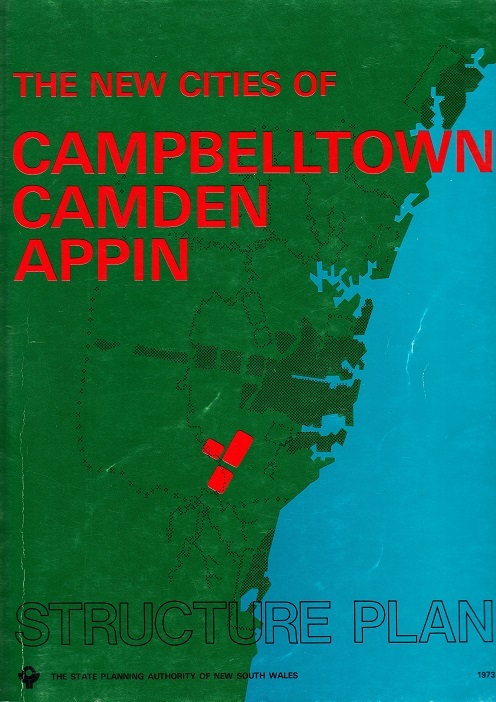 Liston, Carol, Campbelltown, The Bicentennial History, Allen & Unwin, North Sydney, 1988. Lofthouse, Andrea, Who’s Who of Australian Women, Methuen, North Ryde, New South Wales, 1982. Lundy, Andrew, Elderslie High School, 25 Years of Achievement, 1976-2001, Elderslie High School, Camden, 2001. Lyon, Doreen, (ed), Women’s Voices, The Oaks Historical Society, The Oaks, 1997. Lyon, Doreen & Liz Vincent, Created by a Community, A Social History of Camden District Hospital, Camden District Hospital, Camden, 1998. Lyon, Doreen, From Estonia to Thirlmere, Stories from a Unique Community, The Oaks Historical Society, The Oaks, 2005. Macarthur Onslow, Sibella, Some Early Records of The Macarthurs of Camden , Adelaide, 1973 (1914). McGill, Jeff, The Towns, Villages and Suburbs of Macarthur, A Special Magazine to Mark the 200 Years of the Macarthur Region, Camden Advertiser (Insert April 2006), Camden, 2006. Mantle, Nanette, Horse and Rider in Australian Legend, Melbourne: The Miegunyah Press, 2004. Martin, JB & George V Sidman, The Town of Camden Commemorating the 50th Anniversary of the Municipality of Camden, Facsimile Edition, Camden Uniting Church, Camden, 1983 (1939). Mason, Ron and Chris O’Brien, Belgenny Farm, Camden Park Estate, Dept of Planning, Sydney, 1988. Mathews, RH, Some Mythology and Folklore of the Gundungurra Tribe, Den Fenella Press, Wentworth Falls, 2003. Menangle Public School, Centenary of the Menangle Public School, Centenary Committee, Menangle, 1971. Meredith, John, The Last Kooradgie, Moyengully, Chief Man of the Gundungurra People, Kangaroo Press, Kenthurst, 1989. Moloney, JJ, Early Menangle, Australasian Society of Patriots, Newcastle, 1929. Moorhead, Arthur, (ed), The Australian Blue Book, Blue Star, Sydney, 1942. Morris, Sherry and Harold Fife, The Kangaroo March, From Wagga Wagga to the Western Front, Sherry Morris, Wagga Wagga, 2006. Mount Hunter Public School, Mount Hunter Public School, 125 Years of Education, 1859-1984, Committee, Mt Hunter, 1984. Murray, John, Macarthur Heritage, Macarthur Regional Organisation of Councils, Campbelltown, 2000. Mylrea, Peter, Belgenny Farm, Camden, Belgenny Farm Trust, Camden, 2000. Mylrea, Peter, Belgenny Farm, 1805-1835, The Early Years of the Macarthurs at Camden, Belgenny Farm Trust and Camden Historical Society, Camden, 2001. Mylrea, Peter, Belgenny Farm, 1805-1835, The Early Years of the Macarthurs at Camden, 2nd Edition, Camden Historical Society, Camden, 2007. Mylrea, PJ, Camden District, A History to the 1840s, Camden Historical Society, 2002. Mylrea, Peter and Don Blaxell, Mount Annan Botanic Garden, The Native Plant Garden of the Royal Botanic Gardens, Sydney, Friends of the Royal Botanic Gardens, Sydney, 1998. Nepean Family History Society, St Paul’s Church of England, Cobbitty, New South Wales: Cemetery Inscriptions Record Series No 7, Nepean Family History Society, Emu Plains, 1982. Nepean Family History Society, St Matthews Church of England, The Oaks, Glenmore Uniting Church, The Oaks Roman Catholic Cemetery, NSW, Record Series, No 15, Nepean Family History Society, St Marys, 1983. New South Wales Rail Transport Museum, The Camden Tramway, An Illustrated History of the Campbelltown to Camden Branch Railway, New South Wales Rail Transport Museum, Sydney,1967. Nichols, Alan, Jill Garland and John Martin, Historic Churches of NSW, Reed, Sydney, 1978. Nixon, RE, Interesting Bits and Pieces of the History of Camden, Camden Historical Society, Camden, 1982. Nixon, RE, (ed), Camden Show Society Centenary,1886-1986: One Hundred Years On Still a Country Show, The Society, Camden, 1986. Nixon, RE, Carrington, The Centre of Total Care, 1890-1990, The Carrington Trust, Camden, 1990. Nixon, RE & PC Hayward, (eds), The Anglican Church of St John the Evangelist Camden, New South Wales, Anglican Parish of Camden, Camden, 1999. Norrie, Philip, Vineyards of Sydney, Cradle of the Australian Wine Industry From First Settlement to Today, Horwitz Grahame, Sydney, 1990. Oakes, John, Sydney’s Forgotten Rural Railways, Camden, Kurrajong, Rogan’s Hill, Australian Railway Historical Society, Redfern, 2000. Onyx, Jenny & Paul Bullen, Measuring Social Capital in Five Communities in New South Wales, An Analysis, Centre for Australian Community Organisations and Management, University of Technology, Sydney, 1997. Organ, Michael, A Documentary History of the Illawarra and South Coast Aborigines, 1770-1850, Aboriginal Education Unit, Wollongong University, Wollongong, 1990. Pain, Allan, Records of the Parish of Narellan, 1827-1927, Sydney: np, 1927. Partl, Sabine, Aboriginal Women’s Heritage: Nepean, South Sydney: Dept of Environment and Conservation NSW, 2007. Pearce, Owen, Rabbit Hot, Rabbit Cold, Chronicle of a Vanishing Australian Community, Popinjay Publications, Woden, Australian Capital Territory, 1991. Phelan, Nancy, Some Came Early, Some Came Late, Melbourne, np, 1970. Power, Paul, (ed), A Century of Change, One Hundred Years of Local Government in Camden, Macarthur Independent Promotions, Camden, 1989. Prior, Marjory Beatrice, Cow Pastures, An Uncomplicated Affair, Mike Prior, Gympie, 1999. Proudfoot, Helen, Colonial Buildings, Macarthur Growth Centre, Campbelltown, Camden, Appin, Macarthur Development Board, Campbelltown, 1977. Radi, Heather,(ed), 200 Australian Women: A Redress Anthology, Women’s Redress Press, Broadway, New South Wales, 1988. Radi, Heather, Spearitt, Peter & Hinton, Elizabeth, (eds), Biographical Register of New South Wales Parliament, 1901-1970, Australian National University Press, Canberra, 1979. Reeson, Margaret, Certain Lives, Open Book, Adelaide, 1999. Roberts, Jack L, A History of Methodism in the Cowpastures, 1843-1977, Jack L Roberts, Camden, 1976. Robinson, Stephen and Christine, 1901 Census Camden NSW, Stephen and Christine Robinson, Camden, 2000. Rosen, Sue, Losing Ground, An Environmental History of the Hawkesbury-Nepean Catchment, Hale & Ironmonger, Sydney, 1995. Russell, William, My Recollections, The Oaks Historical Society, The Oaks, 1991 (1914). Sayers, George, Views of Camden and Surrounding Area, Etchings and Drawings by George Sayers, George Sayers, Camden, 1996. Sayers, George, Views of Camden and Surrounding Area, Etchings and Drawings by George Sayers, 2nd Edition, George Sayers, Camden, 2001. Seibright, Les, Werriberri, King of the Burragorang, The Oaks Historical Society, The Oaks, 1987. Sharpe, Betty, The Messenger, A Book of Verse, Betty Sharpe, Camden, 1973. Sharpe, Betty, So We’re Ill! Don’t Lose Heart, Betty Sharpe, Camden, 1987. Sharpe, Betty, ‘Half a Year’, Through the Eyes of a Country Woman, Betty Sharpe, Camden, 1984. Sharpe, Betty, The Year Ambles On, Betty Sharpe, Camden, 1985. Sidman, GV, The Town of Camden, A Facsimile with Index Compiled by Liz Vincent, Liz Vincent, Picton, 1995 (1939). 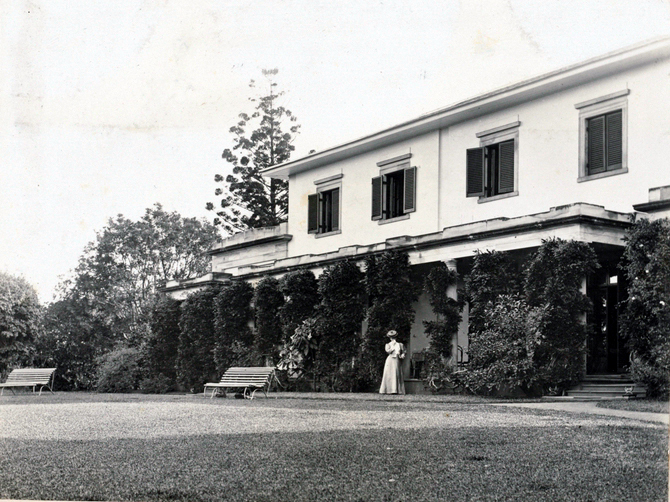 Simpson, Caroline, (ed), William Hardy Wilson, A 20th Century Colonial, 1881-1955, National Trust of Australia (New South Wales), Sydney, 1980. Smith, Diane, The History of ‘Gledswood’, Diane Smith, Camden, 2004. Smith, Malvin J, 50th Anniversary: Nattai-Bulli Colliery, MJ Smith, Camden, 1982. Smith, Jim, Aborigines of the Burragorang Valley, 1830-1960, Jim Smith, Wentworth Falls, 1991. Smith, Jim, The Last of the Cox’s River Men, Ben Esgate, 1914-2003, Den Fenella Press, Wentworth Falls, 2006. Sommerlad, E Lloyd, Serving the Country Press, Country Press Association of New South Wales 1900-2000, The Country Press Association of New South Wale, Sydney, 2000. Sproule, Colin, Timbermen of the Wollondilly 1821-1991, The Oaks Historical Society, The Oaks, 1993. Sproule, Colin (ed), Of Mines and Men, The Stories of the Miners of the Wollondilly Mines, The Oaks Historical Society, The Oaks, 1995. St Aloysius Catholic Church, Church of St Aloysius, The Oaks, Centenary Celebrations, The Oaks Catholic Centenary Committee, The Oaks, 1965. St Andrews Presbyterian Church, St Andrew’s Presbyterian Church, Camden, 130th Anniversary, St Andrew’s Presbyterian Church, Camden, 1979. St James Church of England, A History of St James Church of England, Menangle, 1876-1976, St James Church of England, Menangle, New South Wales, 1976. St John’s Church of England, The Church of St John, 135th Anniversary, St John’s Church of England, Camden, 1975. St Paul’s Catholic Church, Along the Way: St Paul’s Catholic Church, Camden, 1859-1987, St Paul’s Catholic Church, Camden, 1987. Strecker, Marlene, Wivenhoe, The Friends of Wivenhoe, Camden, 2004. Stuckey, Frank, Our Daily Bread: The Story of Stuckey Bros Bakers and Pastrycooks of Camden, NSW, 1912-1960, Camden Historical Society, Camden, 1987. Tildesley, EM, A History of the Queen’s Club, Halstead Press, Sydney, 1970. Thompson, Christopher, Camden Park, Menangle, New South Wales, Camden Park Preservation Committee & State Library of New South Wales, Camden, 1993. Todd, Jan, Milk for the Metropolis, A Century of Co-operative Milk Supply in New South Wales, Hale and Iremonger, Sydney, 1994. 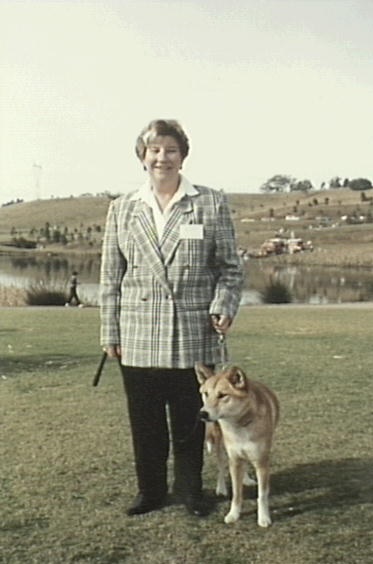 Townsend, Helen, Serving the Country, The History of the Country Women’s Association of New South Wales, Doubleday, Sydney, 1988. Turner, Greg and Denis Gregory, Camden Park, Birthplace of Australia’s Agriculture, NSW Agriculture, Orange, 1992. Valentine, James, Then and Now: Historic Roads Around Sydney, Sydney: Angus and Robertson, 1937. Vernon, Stella, The Fitzpatrick and Sedgwick Families of Campbelltown, Campbelltown and Airds Historical Society, Campbelltown, 1992. Vincent, Liz, Tales of Old Camden, Liz Vincent, Picton, 2001. Waldersee, James, Catholic Society in New South Wales, 1788-1860, Sydney University Press, Sydney, 1974. Walker, George, Memories of Whiteman’s, Christine Davies, Camden, 2007. 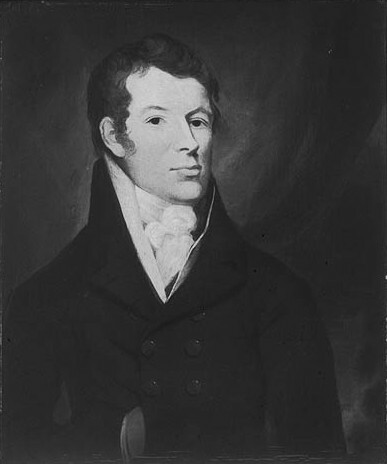 Ward, John Manning, James Macarthur, Colonial Conservative, 1798-1867, Sydney University Press, University of Sydney, 1981. Watson, AL, Camden Aero Club, A History, Camden Aero Club, Camden, 1992. Watson, Peter, Life and Times of Walter Neville (Peter) Watson, Peter Watson, Camden, 2005. Weir, Nell R, From Timberland to Smiling Fields, A History of Orangeville and Werombi, The Oaks Historical Society, The Oaks, 1998. Welsh, Ian Frederick, Valley of Wealth, A Burragorang Coal Story, Ian Frederick Welsh, Thirlmere, 2005. West, Janet, Daughters of Freedom, A History of the Women in the Australian Church, Albatross Books, Sutherland, New South Wales, 1997. West, Janet, Gilbulla, 1899-1999, Anglican Church Diocese of Sydney, Sydney, 2000. Whitby, Kath & Eric G Clancy, (eds), Great the Heritage, The Story of Methodism in NSW, 1812-1975, Methodist Church of Australia, Sydney, 1975. White, Sally, A Patchwork Heritage, Thirteen Australian Families, Collins Dove, Melbourne, 1986. Willis, Ian, The McAleer Story, A History of a Camden Family, Camden: Camden Historical Society, 2009. Wilson, William Hardy, The Cow Pasture Road, Art in Australia, Sydney, 1920. Wollinski, Werner, Escape to a Future, From Germany to Camden, Camden Historical Society, Camden, 2000. Woods, Doris, A Short History of The Oaks, 3rd Edition, The Oaks Historical Society, The Oaks, 1982. Wright, Don & Eric Clancy, The Methodists, A History of Methodism in New South Wales, Allen & Unwin, St Leonards, 1993. Wrigley, JD, A History of Camden, New South Wales, Camden Historical Society, Camden, 1980. Wrigley, John, A History of Camden, New South Wales, 2nd Edn, Camden Historical Society, Camden, 2001. Wrigley, John, A History of Camden, New South Wales, 3rd Edition, Camden: Camden Historical Society, 2008. Wrigley, JD, (ed), Historic Buildings of Camden, Camden Historical Society, Camden, 1983. Wrigley, JD, (ed), Pioneers of Camden: including Derivations of Street Names, Camden Historical Society, Camden, 1988. Wrigley, JD, (ed), Camden Characters, Camden Historical Society, Camden, 1990. Wrigley, JD & Nixon, RE, They Worked At Camden Park, A Listing of the Employees, Leaseholders and Tenant Farmers Known To Have Worked On Camden Park Estate, Camden Historical Society, Camden, 1993. Wrigley, John, The Best of Back Then, Camden Historical Society, Camden, 2007. Al-Natour, Ryan, ‘” The Mouse That Dared to Roar”, Youth and the Camden Controversy’, Youth Studies Australia, Vol 29, No 2, 2010, pp. 42-50. Akers, Jennifer, ‘Cawdor’, Dictionary of Sydney (2008). Online at http://www.dictionaryofsydney.org/entry/cobbitty. Andrews, Alan E J, ‘Mount Hunter and beyond: with Hunter, Bass, Tench, Wilson, Barrallier, Caley and Macquarie 1790 to 1815’, Journal of the Royal Australian Historical Society, Vol 76, pt 1 (June 1990). Andrews, Alan E J, ‘Barrallier and Caley: the evidence of their Burragorang maps 1802-1806’, Journal of the Royal Historical Society, Vol 82, pt 1 (June 1996). Atkinson, Alan, ‘James Macarthur as author’, Journal of Royal Australian Historical Society, Vol 67, pt 3 (December 1981). Broadbent, James, ‘“Where purple flags and oxalis bloom” , The Significance of the Cow Pasture Garden’, in From Wilderness to Garden, Early Colonial Gardens, Their Future, 16th Annual National Conference, 1995, Australian Garden History Society, Melbourne, 1995, pp. 22-25. Campbell, JF, ‘Wild Cattle of the Cowpastures, and the Village of Cawdor’, Journal of the Royal Australian Historical Society, Vol. 14, pt. 1, (1928). Campton, Phil, ‘P Fuchs – P Fox and Son, Cordial Manufacturers, Camden’, Newsletter of the Macarthur Historic Bottle and Collectors Club, May 1990 [CHS]. Conigrave, C Price, ‘Mrs Faithfull Anderson – obituary’, Journal of the Royal Australian Historical Society, Vol 34, pt 4 (1948). Curtis, P, ‘The Camden Circuit’, Journal and Proceedings, Australasian Methodist Historical Society, May 1957, Vol. 72, Issue 72, pp. 969-973. Eldershaw, Rosalind, ‘Gardening with History at Camden Park’, in From Wilderness to Garden, Early Colonial Gardens, Their Future, 16th Annual National Conference, 1995, Australian Garden History Society, Melbourne, 1995, pp. 33-35. Hassall, R, ‘Bishop Reginald Heber’, Church of England Historical Society (Diocese of Sydney) Journal, May 1957, Vol. 2, Issue 2, pp. 22-23. Hetherington, Les, ‘The Kangaroos march: Wagga Wagga to Sydney, December 1915-January 1916’, Journal of the Australian War Memorial, 26, April 1995, pp. 19-25. Jervis, James, ‘Settlement in the Picton and The Oaks district’, Journal of the Royal Australian Historical Society, Vol 27, pt 4 (1941). Jervis, James, ‘The Discovery and Settlement of Burragorang Valley’, Journal of the Royal Australian Historical Society, Vol. 20, pt. 3, (1934). Jervis, James, ‘Camden and Cowpastures’, Journal of the Royal Australian Historical Society, Vol.21, pt. 4, (1935). Jervis, James, ‘Settlement at Narellan – with notes on the pioneers’, Journal of the Royal Australian Historical Society, Vol.22, pt.5, (1936). Lehany, Michael, ‘The Conservation Analysis of Camden Park, The Gardens and Grounds’, in From Wilderness to Garden, Early Colonial Gardens, Their Future, 16th Annual National Conference, 1995, Australian Garden History Society, Melbourne, 1995, pp. 26-32. Little, V., ‘Centenary of Cawdor Church’, Journal and Proceedings Australasian Methodist Historical Society, July 1950, Vol. 59, Issue 59, pp. 819-820. Liston, Carol, ‘The Dharawal and Gandangara in Colonial Campbelltown, New South Wales, 1788-1830’, Aboriginal History, Vol. 12, No. 1-2, 1988, pp. 49-62. Mackaness, G , ‘Kirkham Estate: an account by John Oxley’s grandson, 1922’, Journal of the Royal Australian Historical Society, Vol 49, pt 4 (December 1963). Mills, Colin, ‘The Case of the Missing Notebook’, Australian Garden History, Vol. 18, No. 1, July/August 2006, pp4-7. Mitchell, R. Else, ‘The Wild Cattle of the Cowpastures’, Journal of the Royal Australian Historical Society, Vol. 25, pt. 2. (1939). Norrie, Harold, ‘John Macarthur’, Journal of the Royal Australian Historical Society, Vol. 15, pt. 4, (1929). Perry, TM, ‘The Spread of Rural Settlement in NSW, 1788-1826’, Historical Studies, May 1955, Vol. 6, Issue 24, pp. 377-395. Pettigrew, J., ‘The Oaks Parish via Camden’, Church of England Historical Society (Diocese of Sydney) Journal, September 1974, Vol. 19, Issue 3, pp. 67-70. Robbins, SR., ‘On the Trail of the Wild Cattle. Camden Methodism’, Journal and Proceedings of the Australasian Methodist Historical Society, 1923, Vol. 1, Issue 2, pp. 24-32. Robbins, SR., ‘On the Trail of the Wild Cattle’, Journal and Proceedings Australasian Methodist Historical Society, June 1933, Vol. 1, Part 2, pp. 25-34. Robinson, Christine, ‘Cobbitty’, Dictionary of Sydney (2008). Online at http://www.dictionaryofsydney.org/entry/cobbitty. Robinson, Steve, ‘Bickley Vale’, Dictionary of Sydney (2008). Online at http://www.dictionaryofsydney.org/entry/bickley_vale. Robinson, Steve, ‘Camden West’, Dictionary of Sydney (2008). Online at http://www.dictionaryofsydney.org/entry/camden_west. Robinson, Steve, ‘Grasmere’, Dictionary of Sydney (2008). Online at http://www.dictionaryofsydney.org/entry/grasmere. ‘St John’s Church, Camden’, Church of England Historical Society (Diocese of Sydney) Journal, June 1962, Vol. 7, Issue 2, pp. 263-264. ‘St Marks Church Elderslie’, Church of England Historical Society (Diocese of Sydney) Journal, March 1967, Vol. 12, Issue 1, p. 28. ‘St Pauls Cobbitty’, Church of England Historical Society (Diocese of Sydney) Journal, April 1956, Vol. 1, Issue 2, p. 27. Thompson, Jack and John Perkins, ‘The Wild Cowpastures revisited’, Journal of the Royal Australian Historical Society, Vol 77, pt 4 (April 1992). Wallace, Ian, ‘Campbelltown to Camden’, in Byways of Steam 9,On the Railways of New South Wales, (eds) Ian Dunn and Ray Love, Eveleigh Press, Matraville, 1995. Watson, JH, ‘Heber Chapel, Cobbity’, Journal of the Royal Australian Historical Society, Vol. 14, pt.6, (1928). Weatherburn, A K, ‘The exploration and surveys of James Meehan between the Cowpastures, Wingecarribee River, Goulburn Plains, Shoalhaven River and Jervis Bay 1805, 1818 and 1819’, Journal of the Royal Australian Historical Society, Vol 64, pt 3 (December 1978). Willis, IC, ‘Active Citizens and Loyal Patriots: The Role of the Two Local Newspapers on the Australian Homefront, 1939-1945’, Bibliographical Society of Australia and New Zealand Bulletin, 24, 1, 2000, pp. 81-92. Willis, Ian, ‘The Member for Camden: Dr Elizabeth Kernohan’, AQ Journal of Contemporary Analysis, Vol. 77, Issue 1, Jan-Feb 2005, pp.21-25. Willis, Ian, ‘Camden At War’, AQ Australian Quarterly, Vol. 78, Issue 1, January- February 2006, pp. 23-28. Willis, Ian, ‘The Gentry and the Village, Camden, NSW, 1800-1939’, AQ Australian Quarterly, Vol. 78, Issue 4, July-August 2006, pp.19-24. Willis, Ian, ‘Democracy in Action in Local Government: Camden, NSW’, AQ Australian Quarterly, Vol. 79, Issue 2, March-April 2007, pp17-26. Willis, Ian, ‘Camden, The Best Preserved Country Town on the Cumberland Plain’, HeritageTourism, 2007. Online at http://www.heritagetourism.com.au/camden-the-best-preserved-country-town-on-the-cumberland-plain-nsw/ . Willis, Ian, ‘Fifty Years of Local History, The Camden Historical Society, 1957-2007’, An Address to the 50th Anniversary Meeting of the Camden Historical Society, 12 July 2007, AQ Australian Quarterly, November- December 2007, pp. 11-16. Willis, Ian, ‘Camden’, AQ Australian Quarterly, May-June 2008, pp. 15-18. Willis, Ian, ‘Lost Interwar Motoring Heritage’, AQ Australian Quarterly, July-August 2008, pp. 12-15. Willis, Ian, ‘Democracy in Place: Parochial Politics and the 2008 Local Government Elections’, AQ, Australian Quarterly, Vol 80, Issue 6, November-December 2008, pp. 4-9. Willis, Ian, ‘Stories and Things: The role of the local historical society, Campbelltown, Camden and The Oaks’, Journal of the Royal Australian Historical Society, Vol. 95, Pt. 1, June 2009, pp.18-37. Willis, Ian, ‘Camden: The Interwar Heritage of a Country Town’, Spirit of Progress¸Vol. 10, No. 3, 2009, pp. 13-15. Willis, Ian, ‘Whither Heritage, The Experience of the Outdoor Movie Theatre’, AQ, Australian Quarterly, Vol. 81, Issue 6, Nov- Dec 2009, pp.35-39. Willis, Ian ‘Camden’, Dictionary of Sydney (2008). Online at http://www.dictionaryofsydney.org/entry/camden. Willis, Ian, ‘Heritage: a dismal state of affairs’, Sydney Morning Herald Online, 16 April 2010. Online at http://www.smh.com.au/opinion/politics/heritage-a-dismal-state-of-affairs-20100416-sjiy.html . Winney, I and R Fookes, ‘Goodbye Camden Tram’, Australian Railway Historical Society Bulletin, April 1963, Vol. 14, Issue 306, pp. 53-60. Brown, JW and GJ Bush, ‘The History and Development of the Burragorang Valley, Referring Particularly to Coal Mining’, Address to Camden Historical Society, Camden, March 1973. Department of Social Studies, University of Sydney, Camden, A Social Survey, Camden Rotary Club/Camden Community Centre Committee, Camden, 1948. De Ferranti, LZ, The Legacy of Camden Park. B.Arch. Thesis, University of Sydney, 1979. Dodds, Sandra, Survey of Camden Sculptures and Monuments, Camden Historical Society, Camden, 1999. Dodds, Sandra, Representations of History in Museums, MA(Museum Studies) Thesis, University of Sydney, 2004. Don Fox Planning, Camden Structure Plan Report (Draft), Camden Council, Camden, 1999. Environment, Planning and Building Services Division, Draft Camden Rural Lands Study, Council of Camden, Camden, 1998. Gwyther, Gabrielle, Paradise Planned, Community Formation and the Master Planned Estate, PhD, University of Western Sydney, 2004. Online. 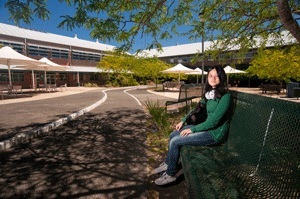 http://library.uws.edu.au/adt-NUWS/public/adt-NUWS20051214.111331/index.html. Jack, LE, History of Education in Camden and District, A Study of the Origins and Development of Primary Education to 1880 and Selected Aspects of Later Growth of Primary, Secondary and Adult Education, M.Ed. Thesis, University of Sydney, 1966. JRC Planning Services, Environmental Heritage, Macarthur Regional Environmental Study, Working Paper 3, Department of Environment and Planning, Sydney, 1986. Landarc, Draft Significant Tree and Vegetated Landscape Study, Camden Municipal Council, Camden, 1993. Mason, Milton Lewis, Carinya, The Social-Class System of an Australian Community. PhD Thesis, University of Missouri-Kansas City, 1960. Mitchell McCotter Willing, Camden Area Flood Prone Land Study, 2nd Edition, Mine Subsidence Board, Sydney, 1993. Proudfoot, Helen, Campbelltown, Camden, Appin, Survey and Report on Nineteenth Century Buildings and Sites, Volume IV, Section Four: Hume Highway to Camden, Bringelly, Cobbitty, Section Five: Narellan, Elderslie, Camden, State Planning Authority of New South Wales, Sydney, 1973. Rosen, Sue, Hawkesbury-Nepean Historic Environmental Changes Study, Water Resources Program Hawkesbury-Nepean Strategy, Water Board, Sydney, 1992. Sankey, Robyn, Camden and the Coal Industry: A Study of the Development of the Coal Industry in the Burragorang Valley and its Impact on Camden and the District in the Post-War Period, MA Thesis, University of Sydney, 1984. State Planning Authority of New South Wales, The New Cities of Campbelltown, Camden, Appin, State Planning Authority of New South Wales, Sydney, 1973. Stubbs, Judith, Camden New City, A Community Profile, Camden Municipal Council, 1985. Tropman and Tropman, Draft Heritage Report, Camden Council, Camden, 2004. Watson, Clare, Conservation of Public Access to and Interpretation of Belgenny Farm, Elizabeth Macarthur Agricultural Institute, Camden, New South Wales, Report, New South Wales Minister for Agriculture and Rural Affairs, 1991. Wrigley, Camden Interim Heritage Study, Camden Historical Society, Camden, 1985. Willis, Ian, War and Community: The Red Cross in Camden, 1939-1945, MA(Hons) Thesis, University of Wollongong, 1996. A Pictorial History of Camden and the Camden District, DVD, Camden Historical Society, Camden, 2006. Camden Headstone 1800-2006, CD, Camden Area Family History Society, 2007. Camden Line, DVD, Rowlingstock Productions, Parramatta, 1989. Camden Slide Show 2nd Edition, DVD, Camden Photo Centre, 2009. Harrington Park, Make It Yours, DVD, Harrington Park Realty, Harrington Park, 2006. Macarthur, DVD, Editricks/Camden Council/Campbelltown City Council, Campbelltown, 2007. Macarthur, DVD, Camden Council/Campbelltown City Council/Overland TV, Camden, 2010. Make It in Macarthur, DVD, MACROC, Campbelltown, 2006. Oran Park Raceway, 46 Fabulous Years, DVD, Chevron, Sydney, 2008. ‘Still My Country Home’, Song, Jessie Fairweather, Camden , 2007. Backing track for Camden Slide Show. ‘The Camden Train’, Song, Buddy Williams, Camden, 1963. The Coal Carters, DVD, Garry and Anita Martin, Oakdale, 2005. The Spirit of Macarthur, DVD, Editricks/Campbelltown City Council/Ron Moore, Campbelltown, 2006. Valley of Wealth, A Burragorang Coal Pictorial, DVD, Anita Martin, Oakdale, 2005.